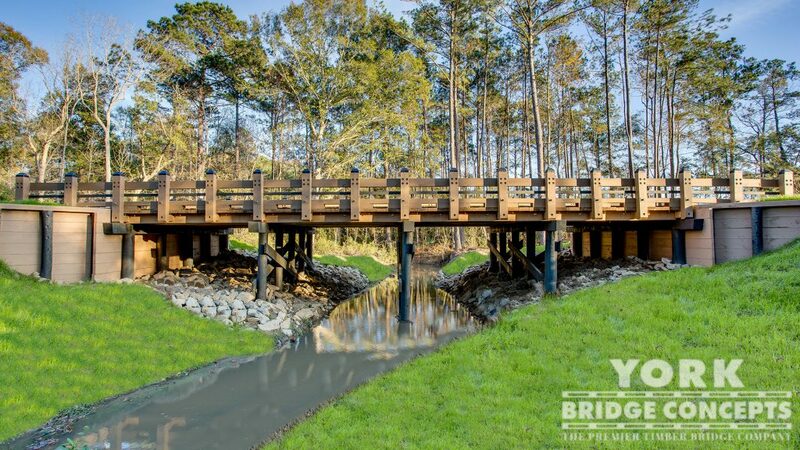 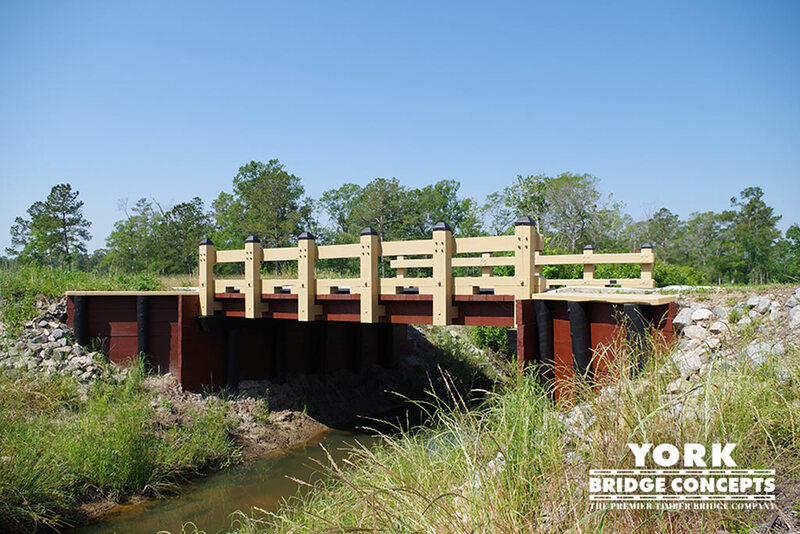 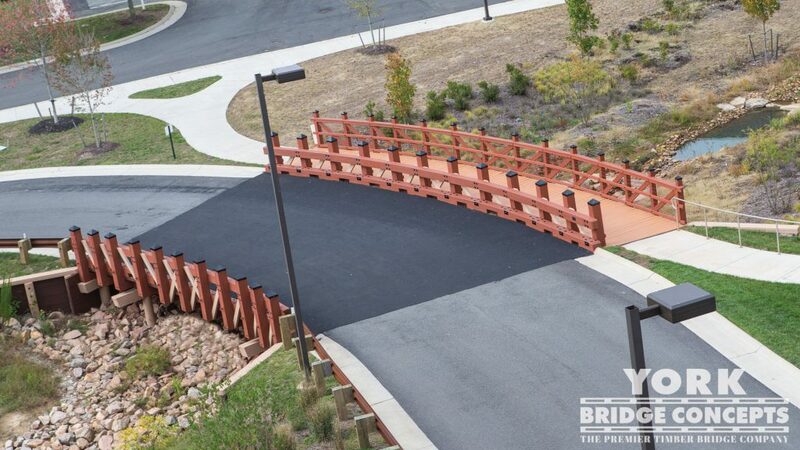 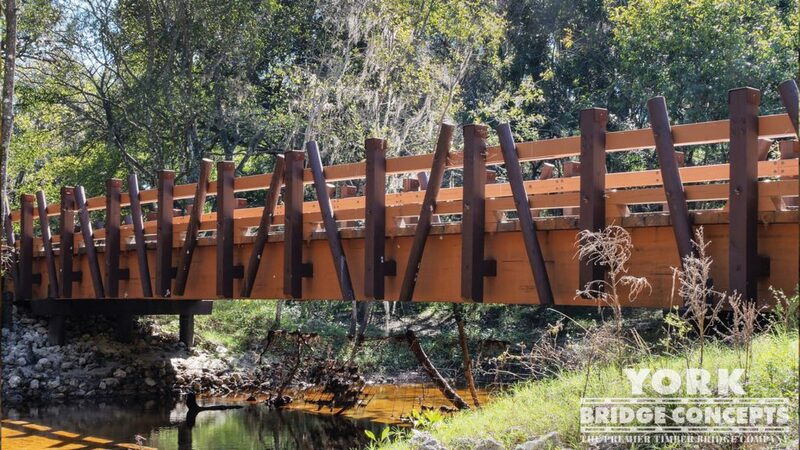 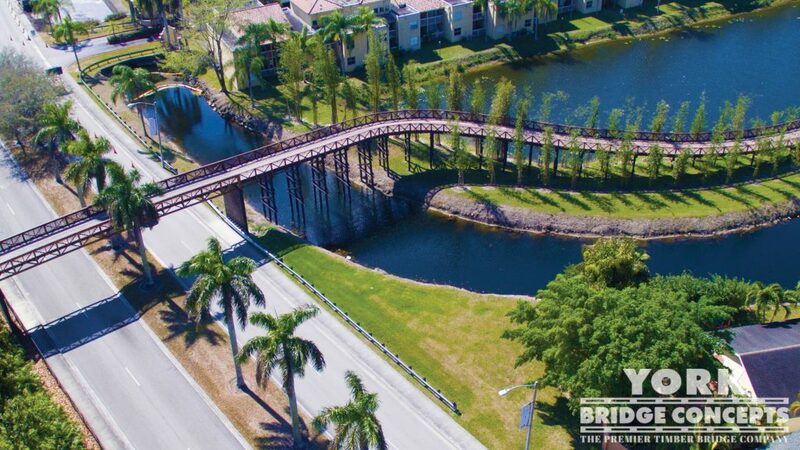 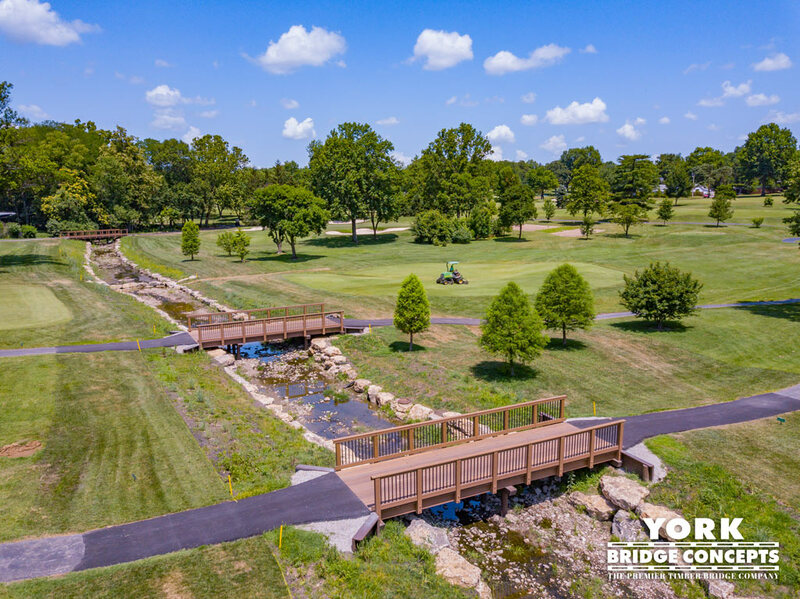 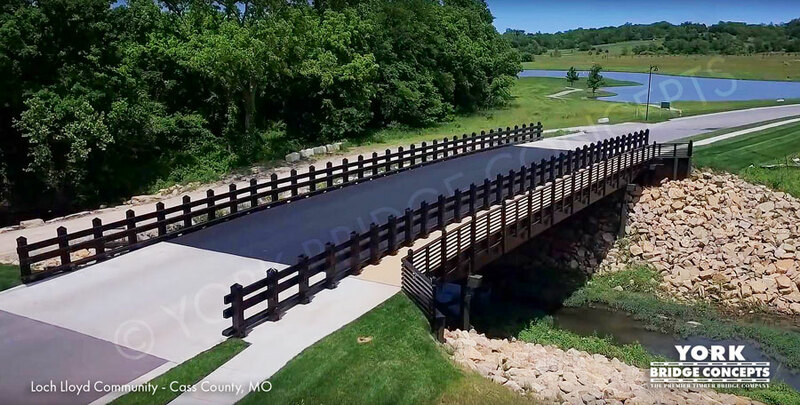 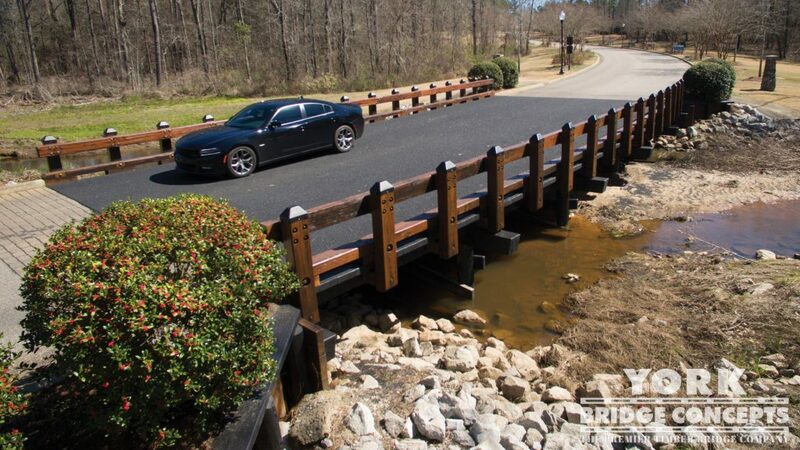 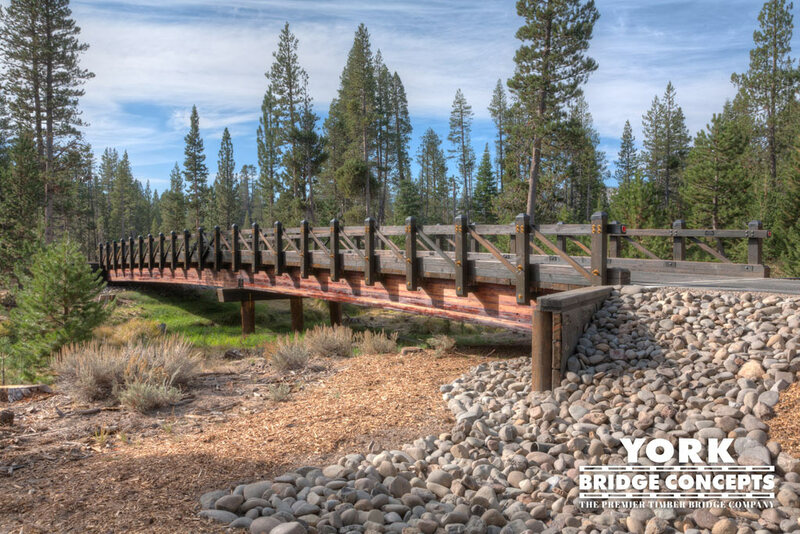 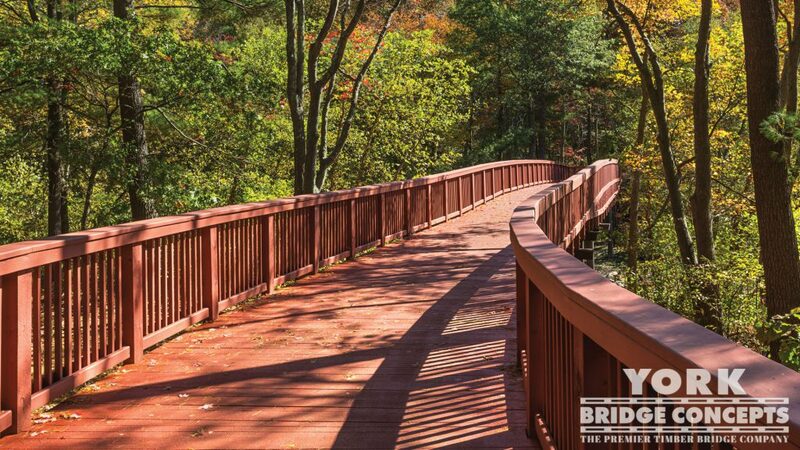 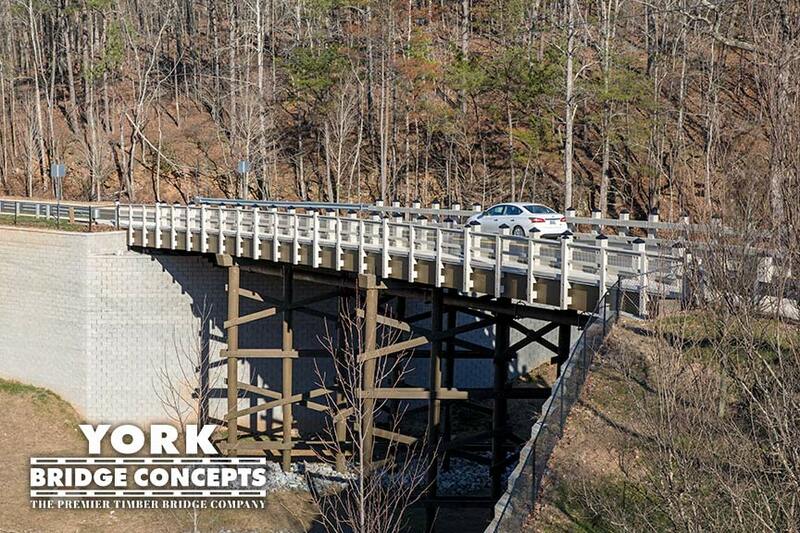 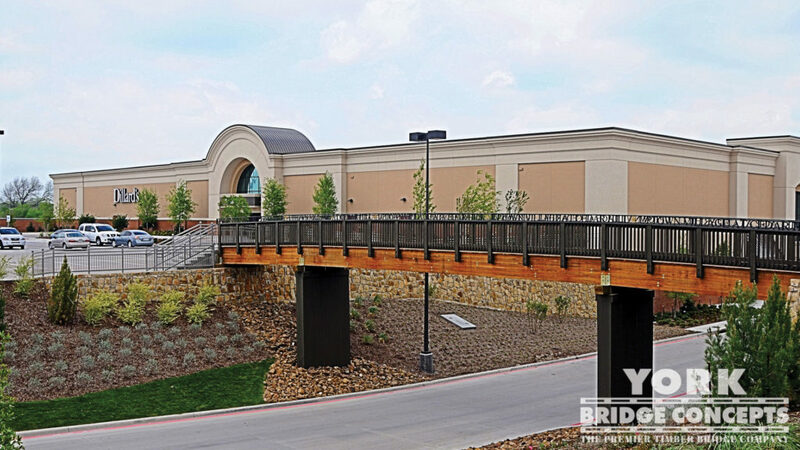 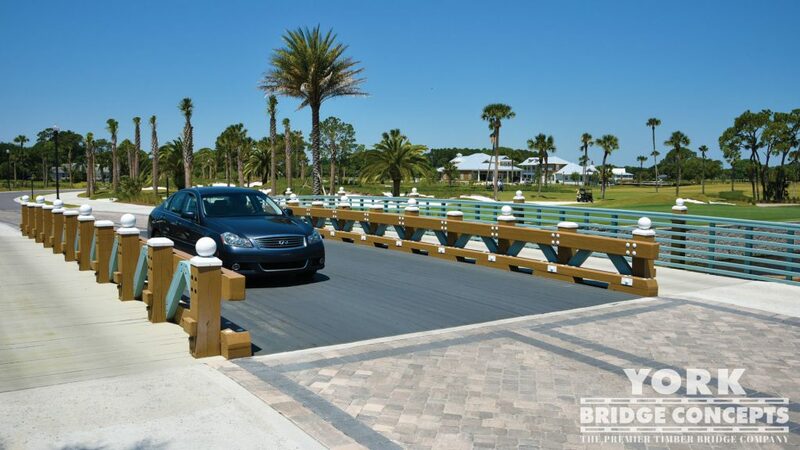 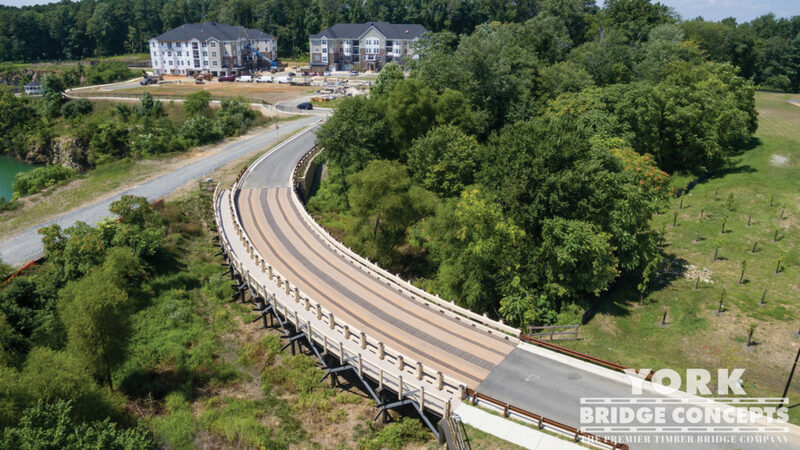 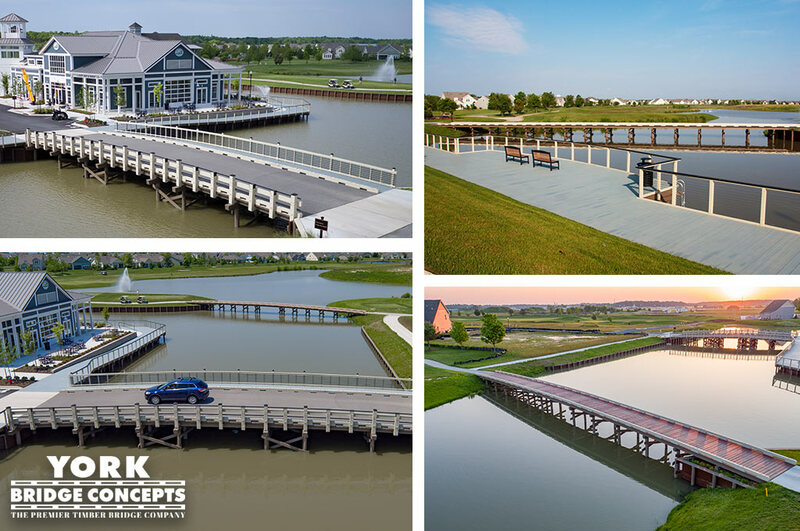 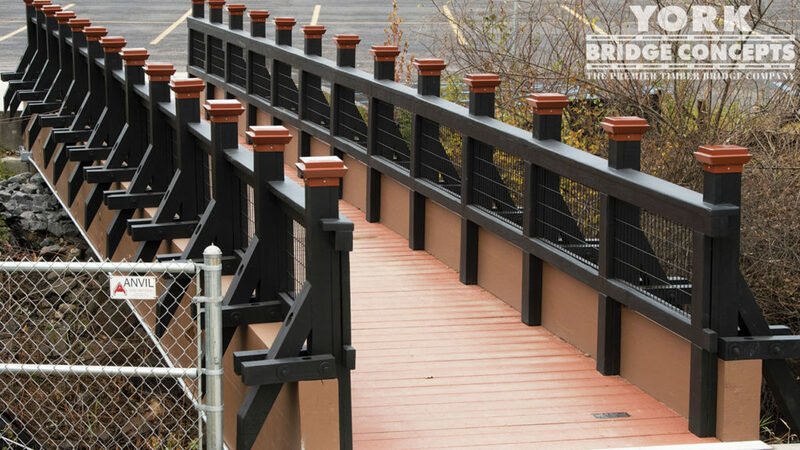 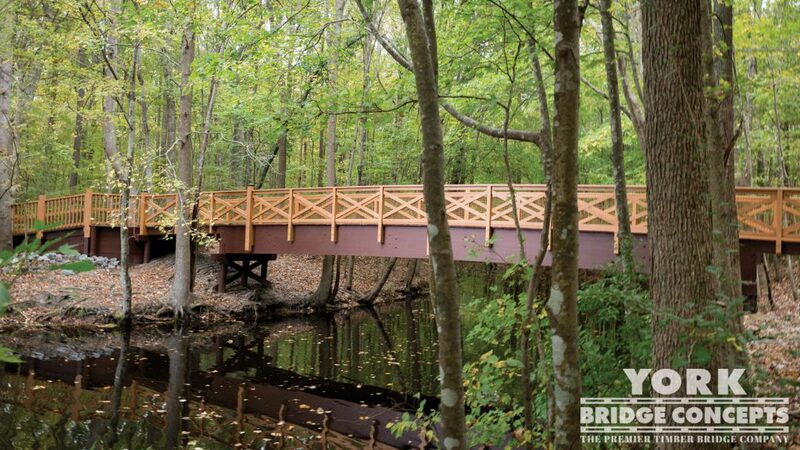 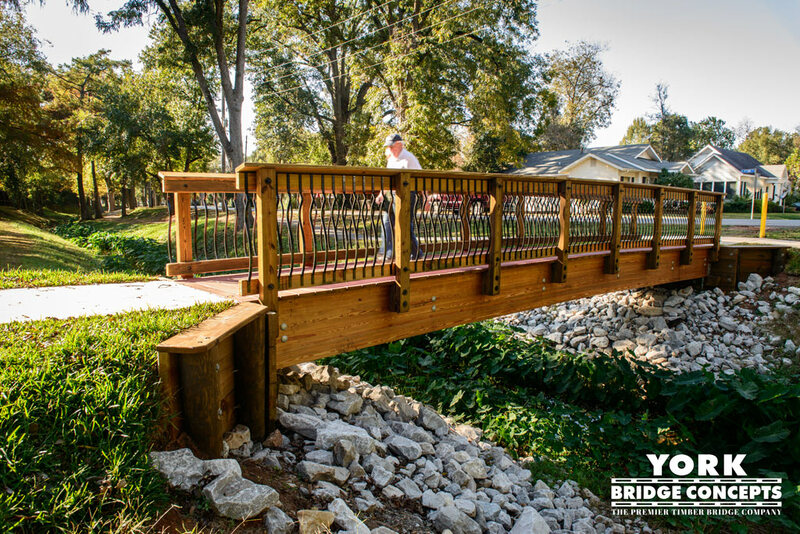 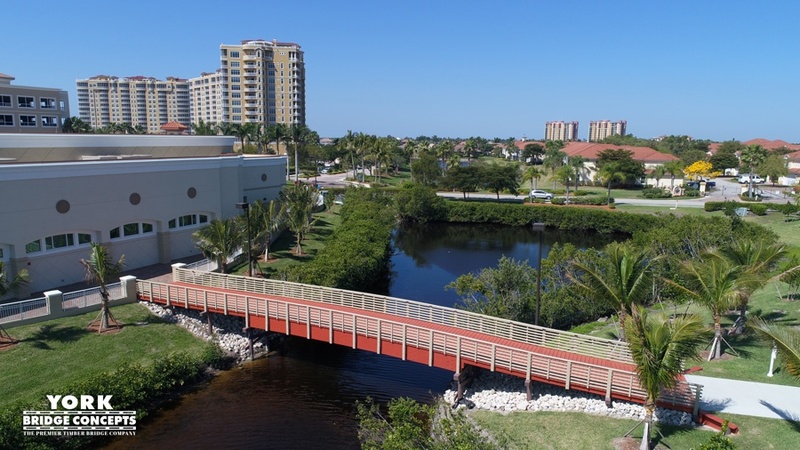 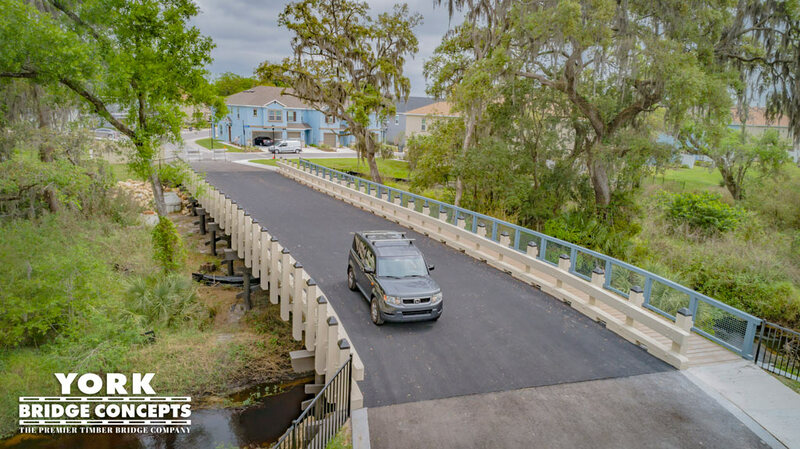 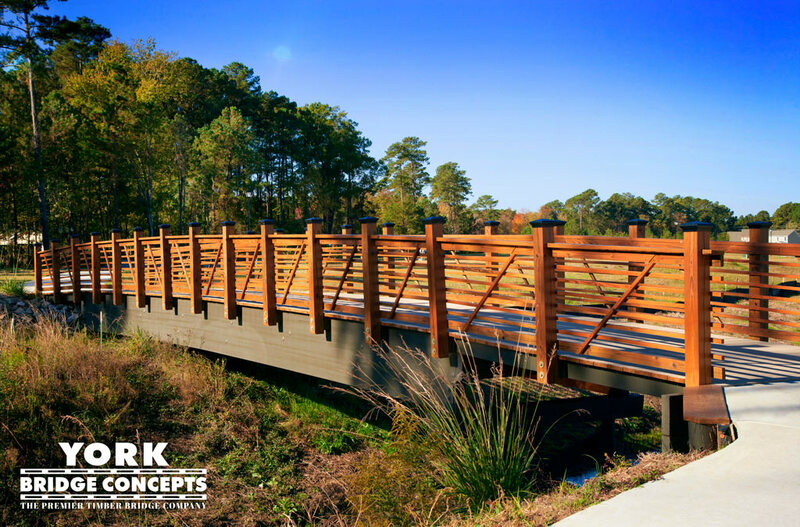 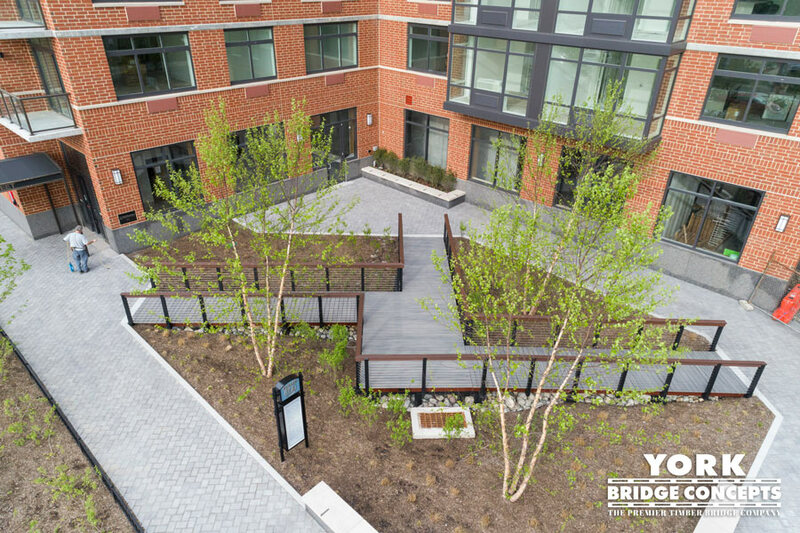 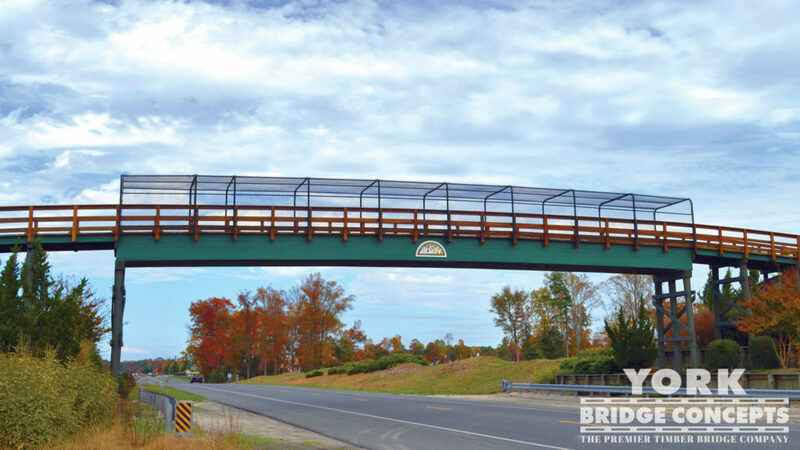 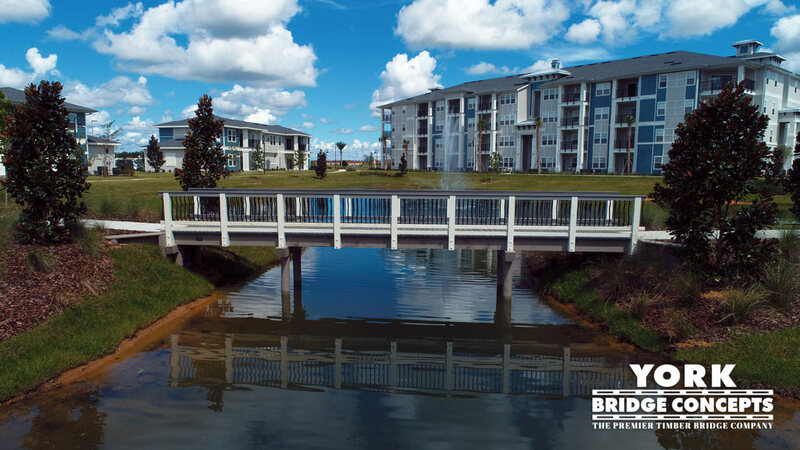 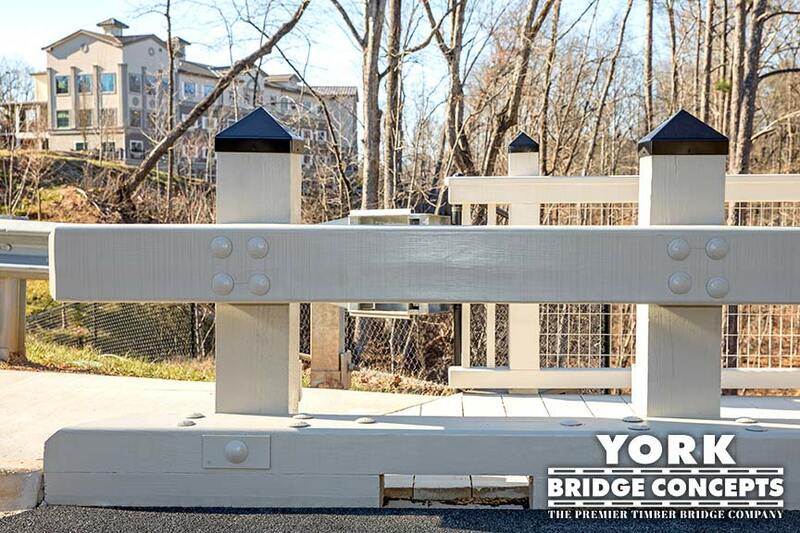 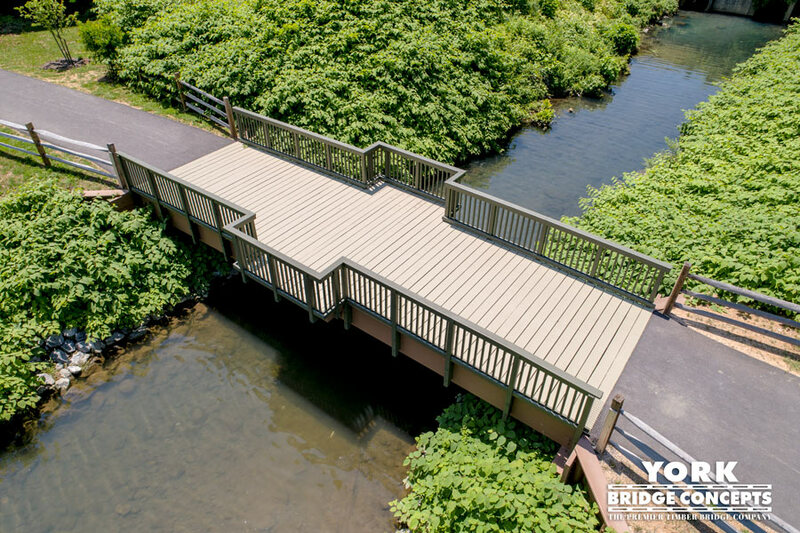 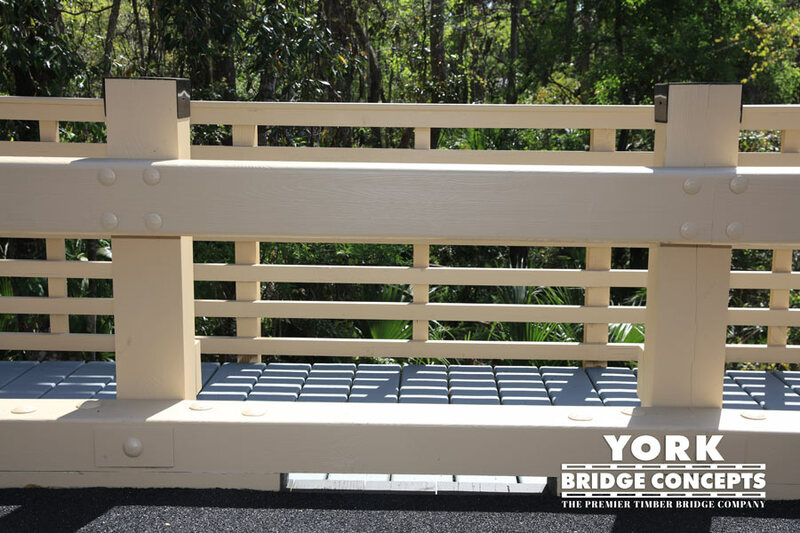 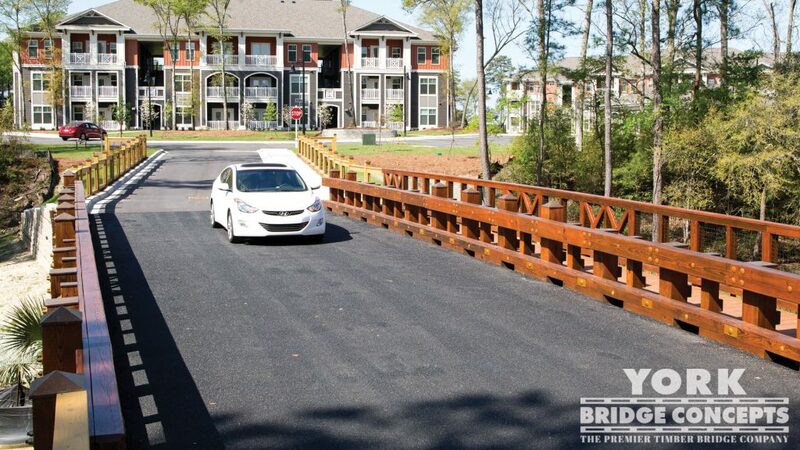 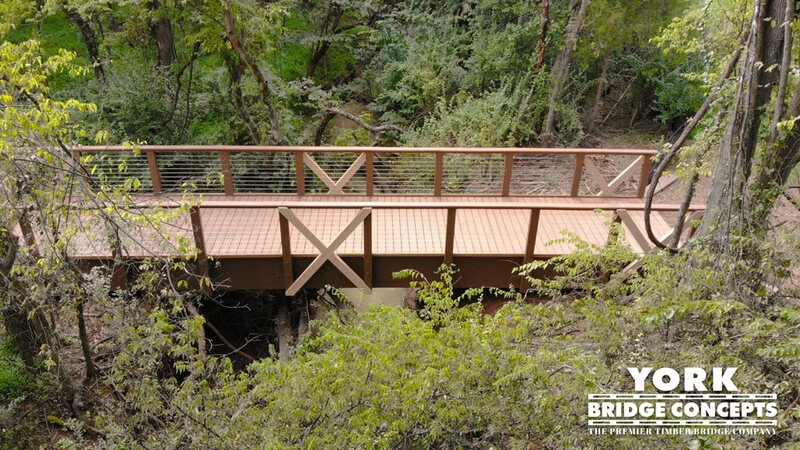 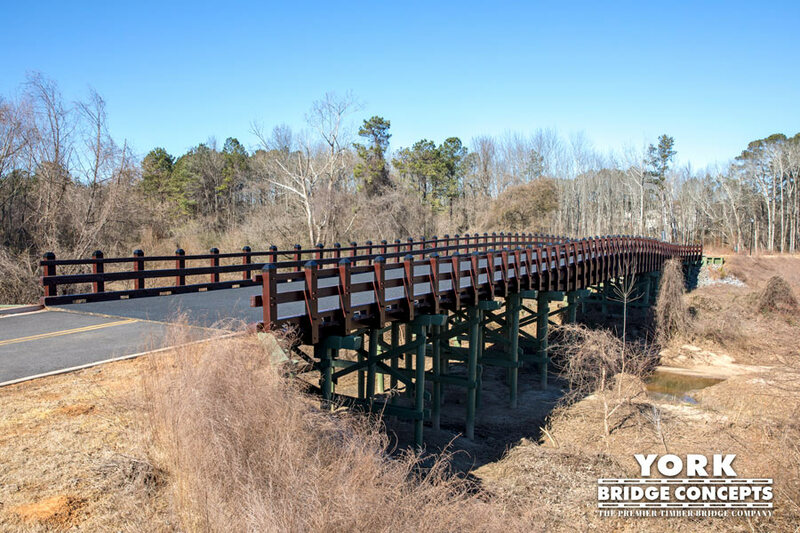 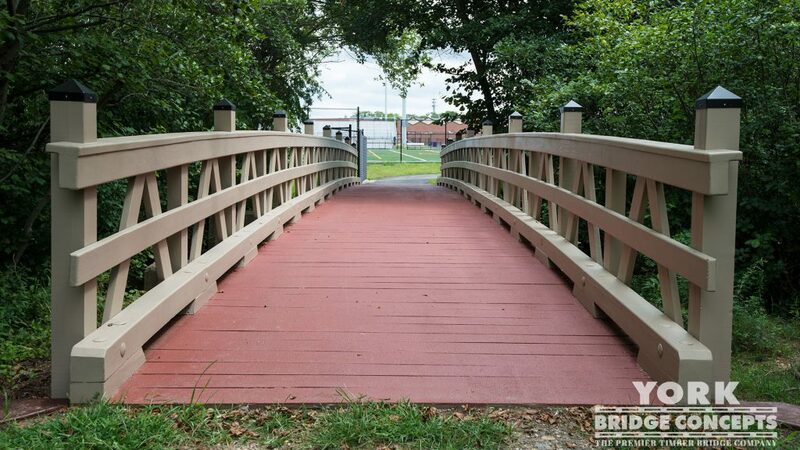 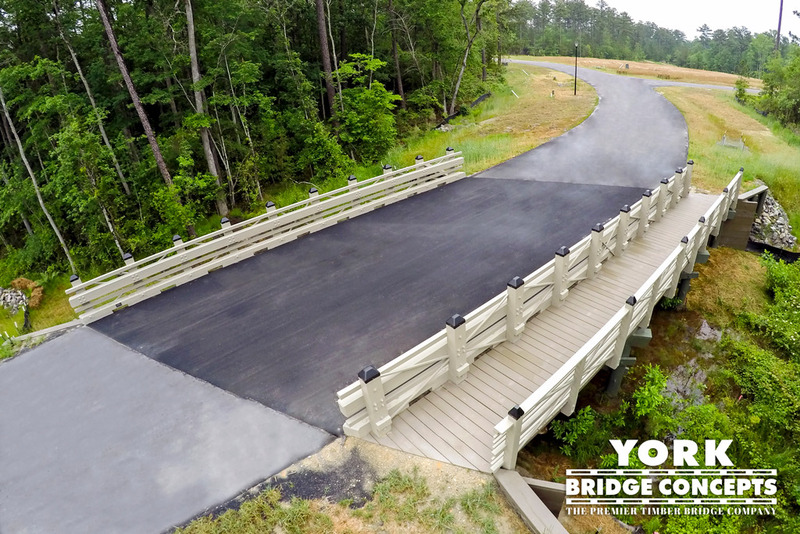 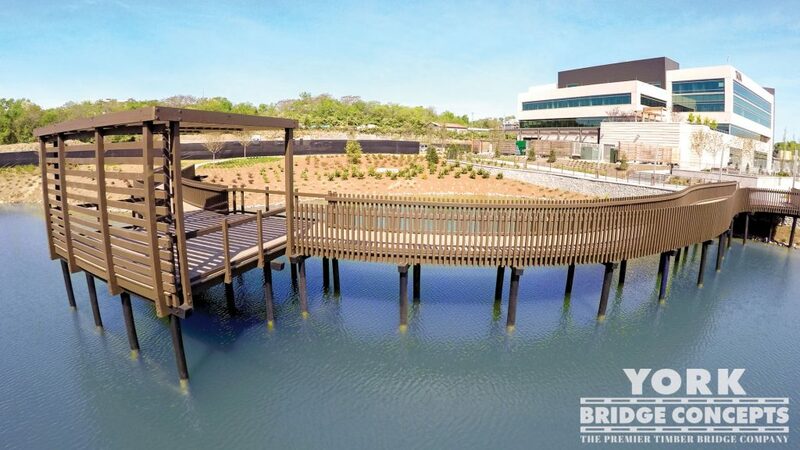 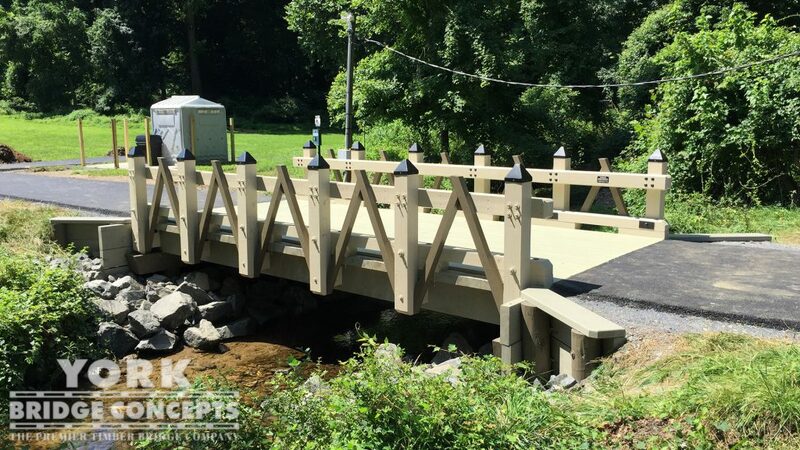 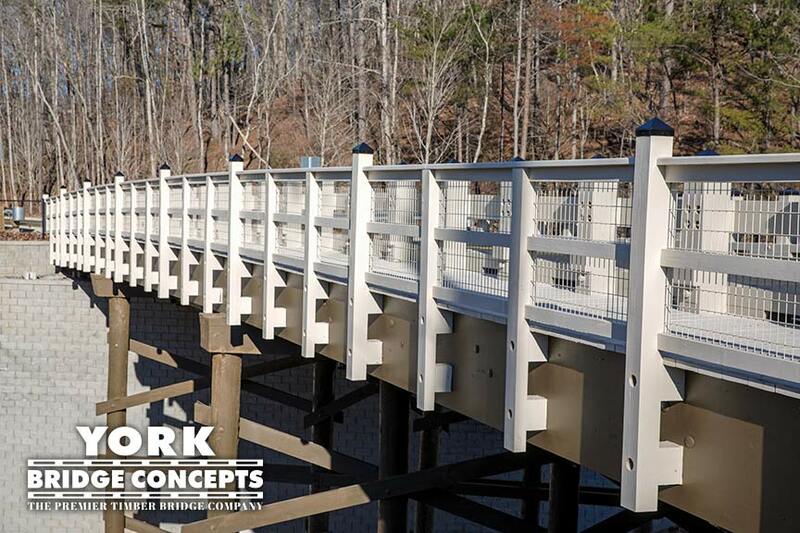 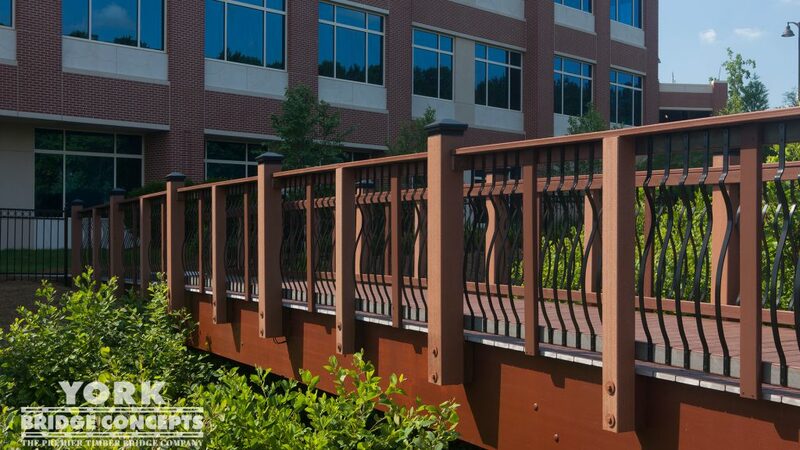 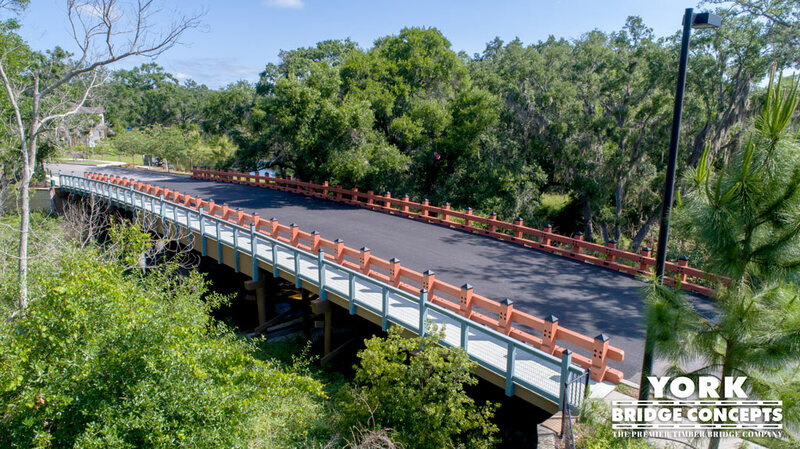 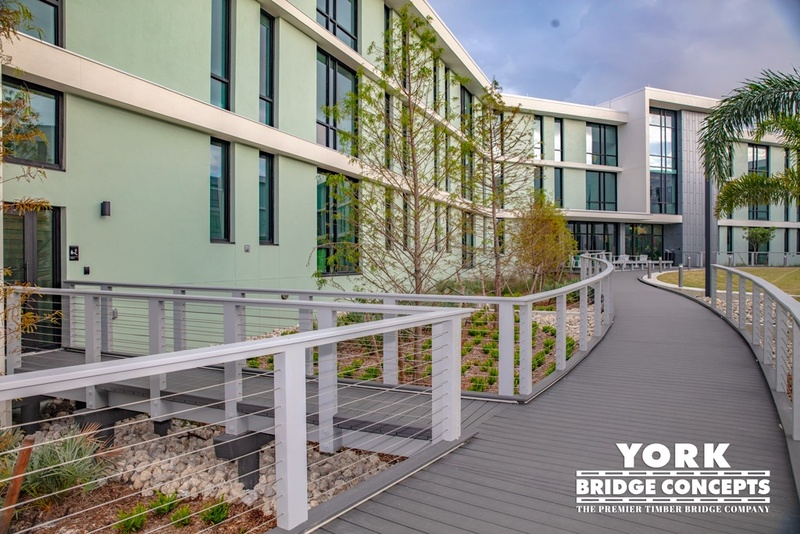 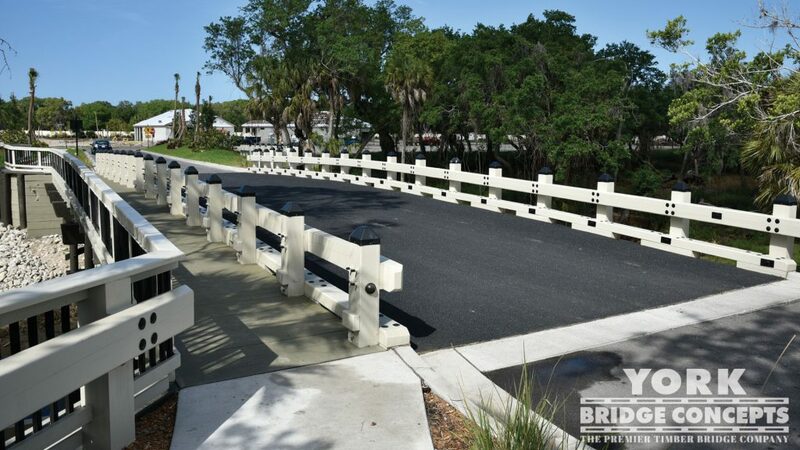 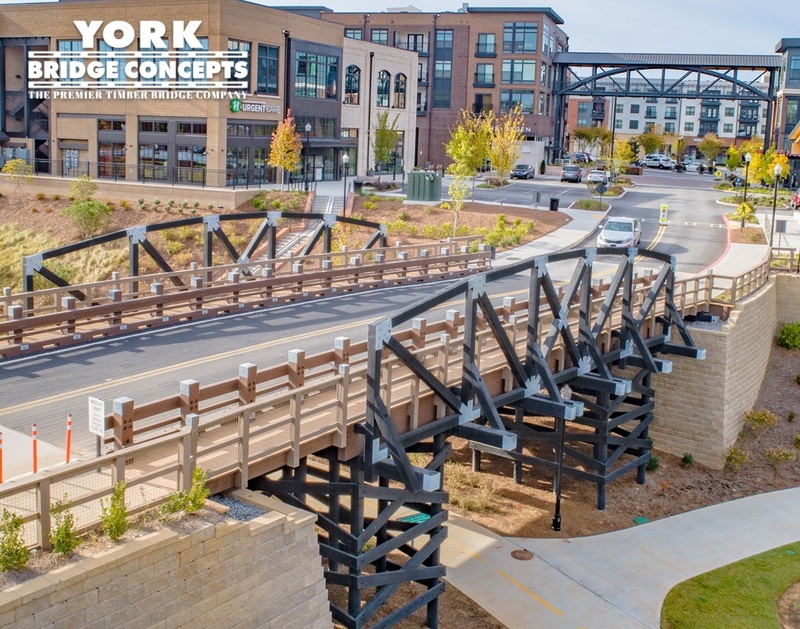 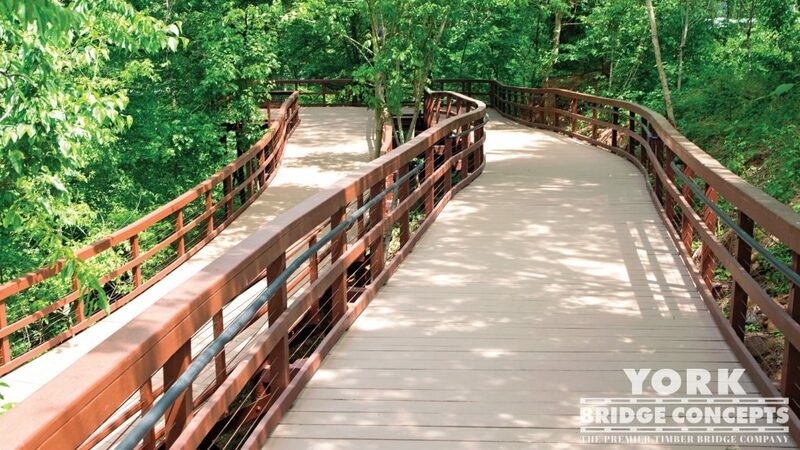 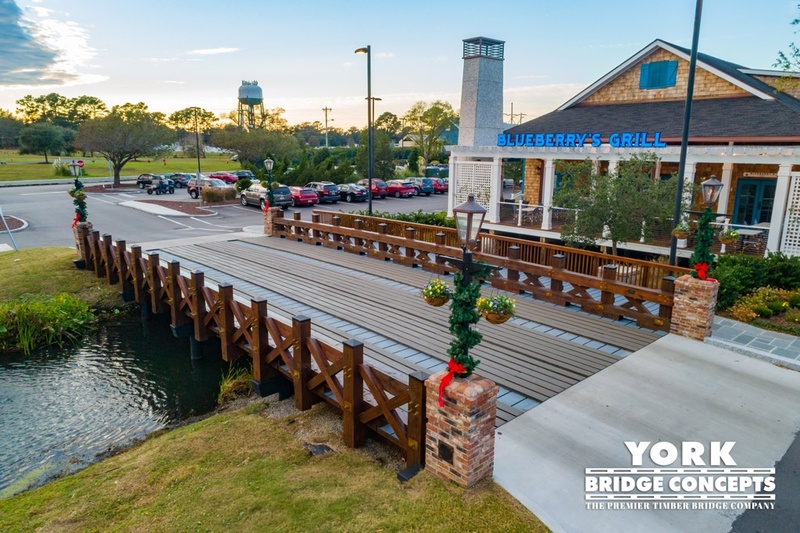 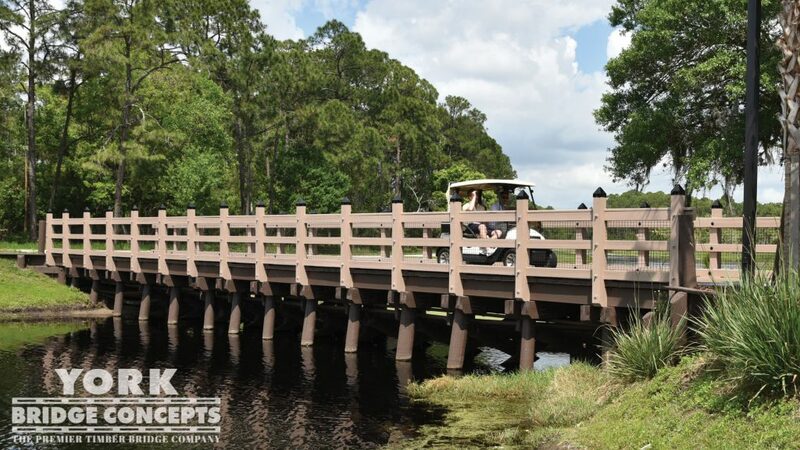 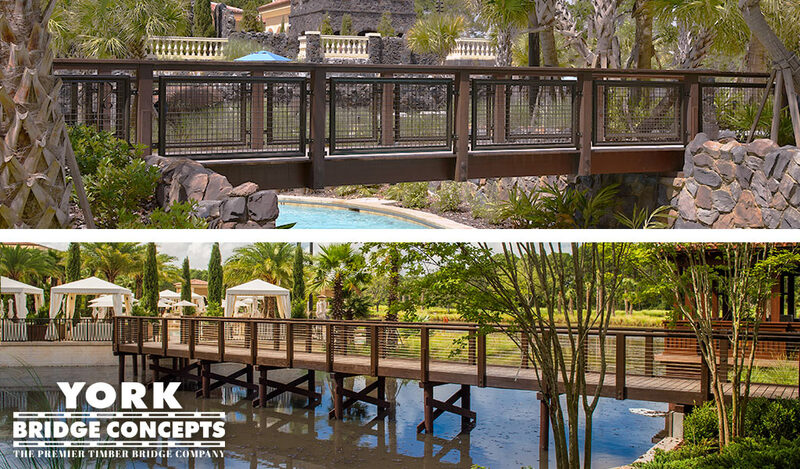 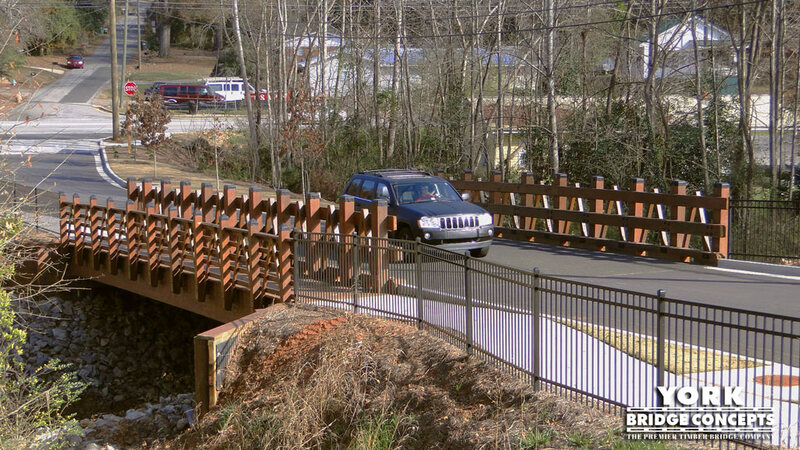 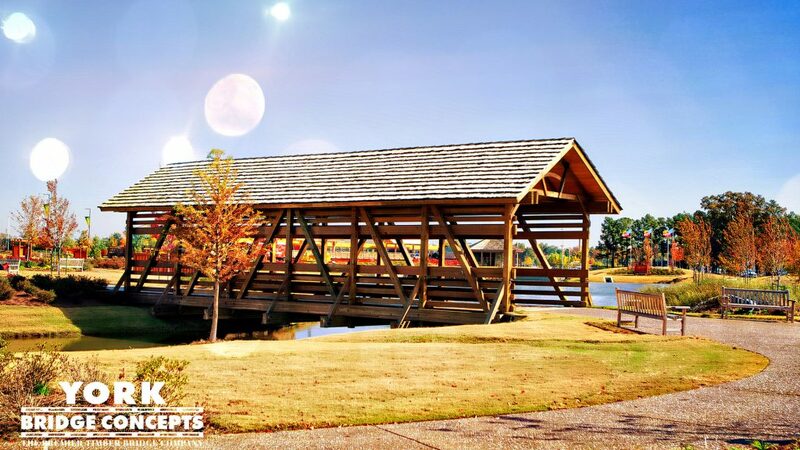 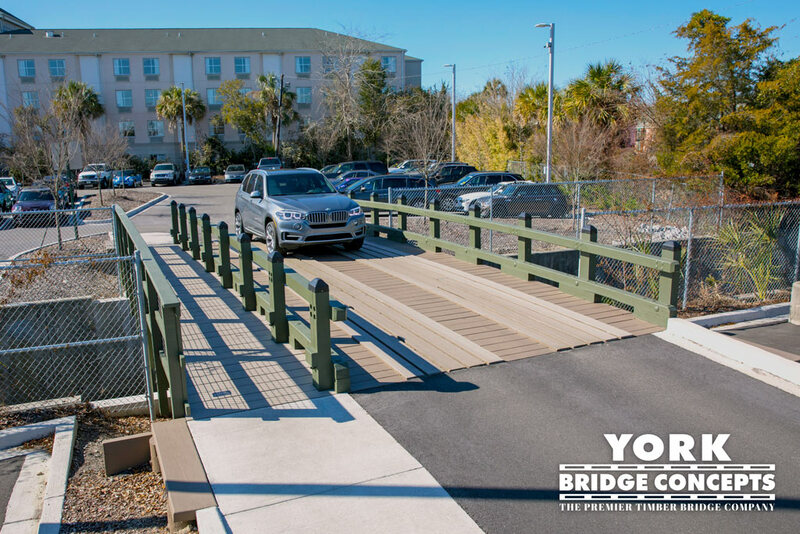 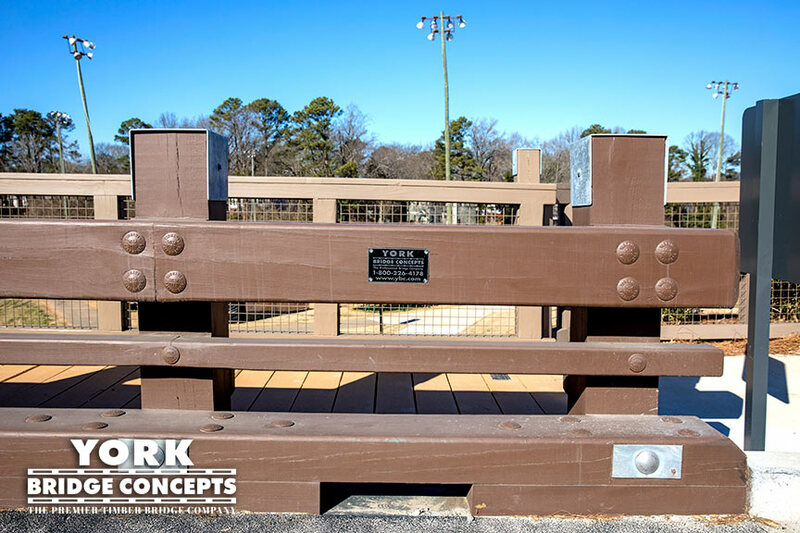 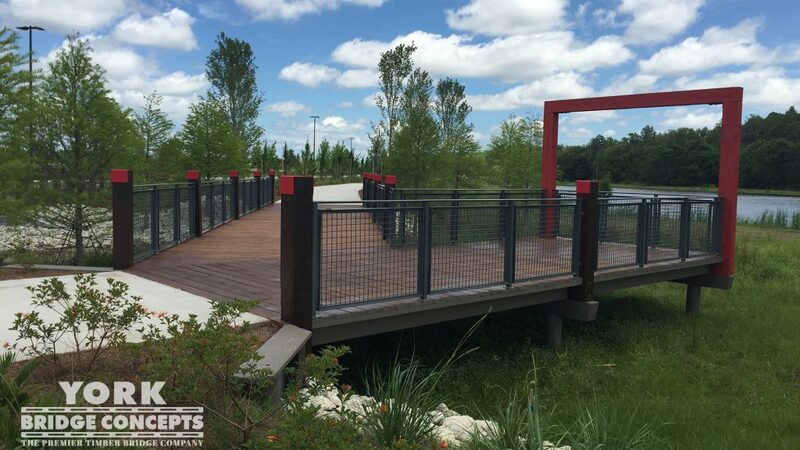 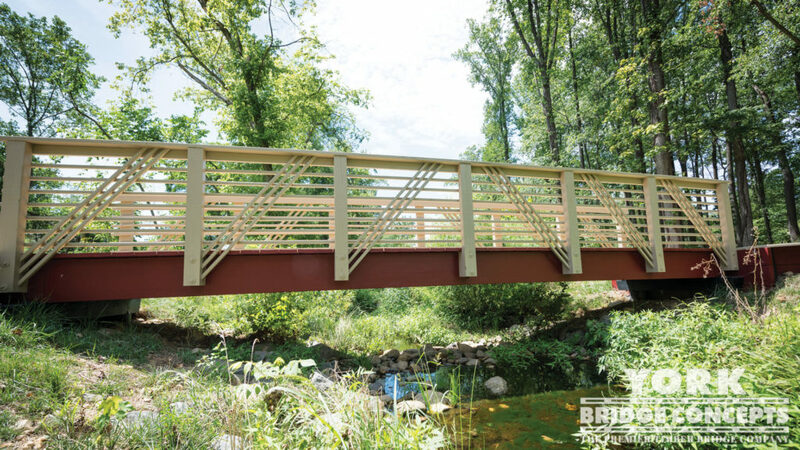 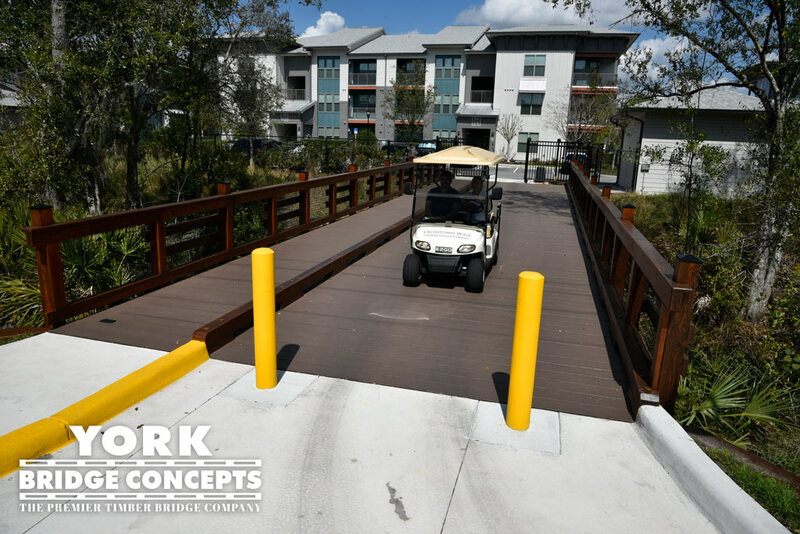 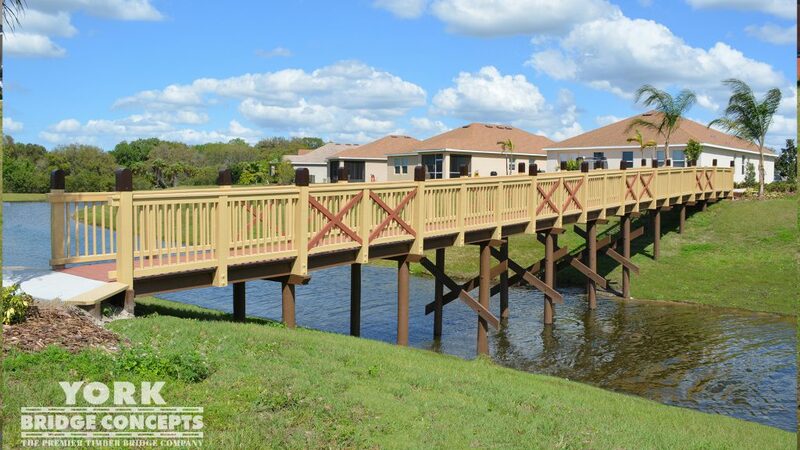 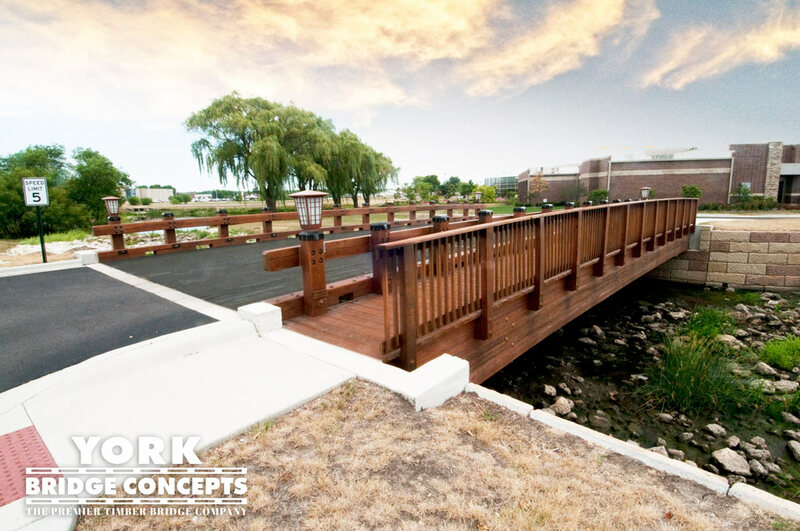 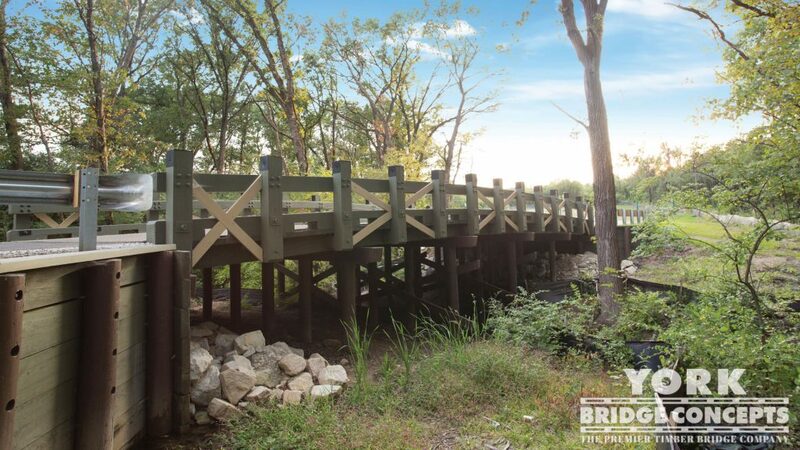 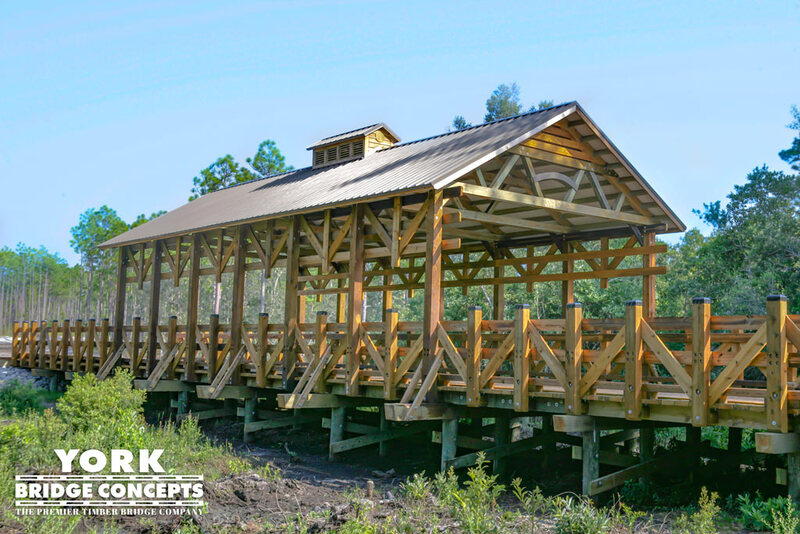 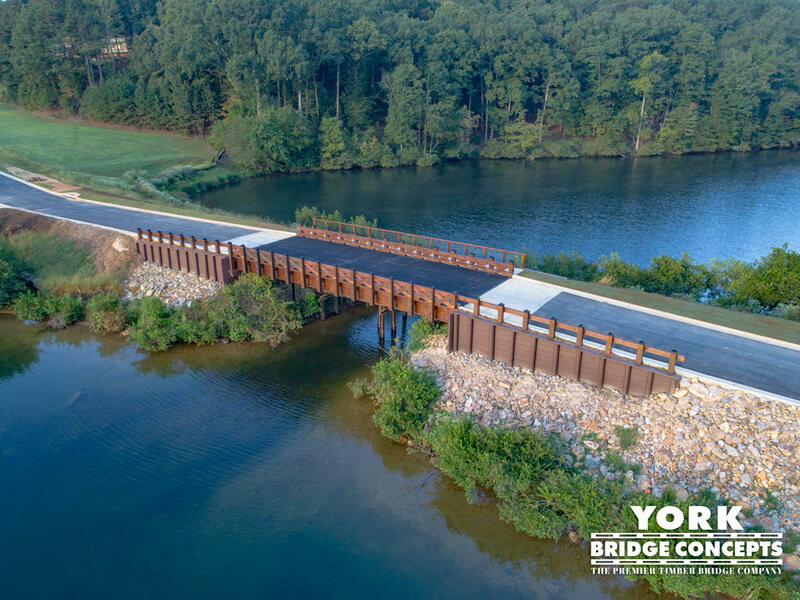 York Bridge Concepts™ has teamed with Fivestar Lifestyles to design & build a York Timber Vehicular bridge, spanning 31 feet wide by 118 feet long. 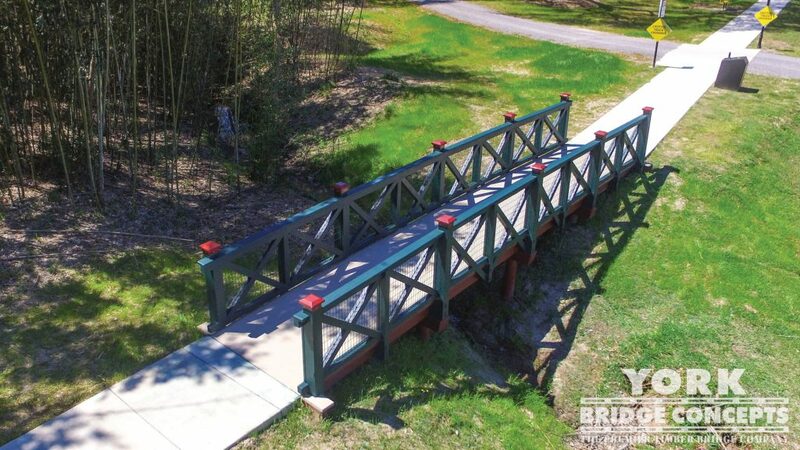 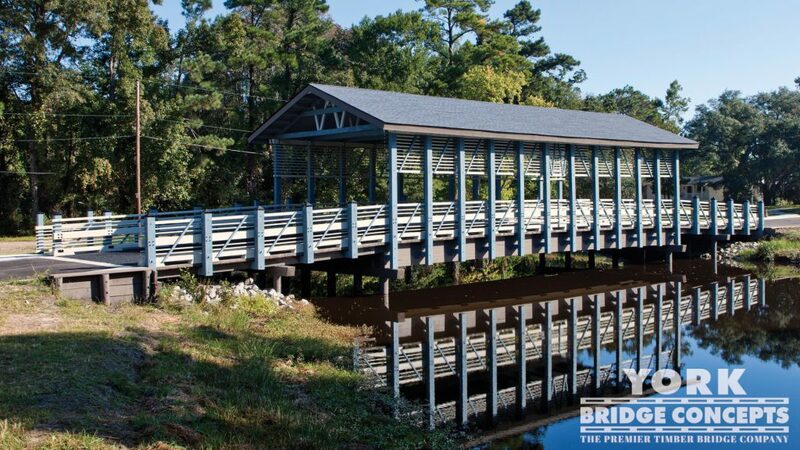 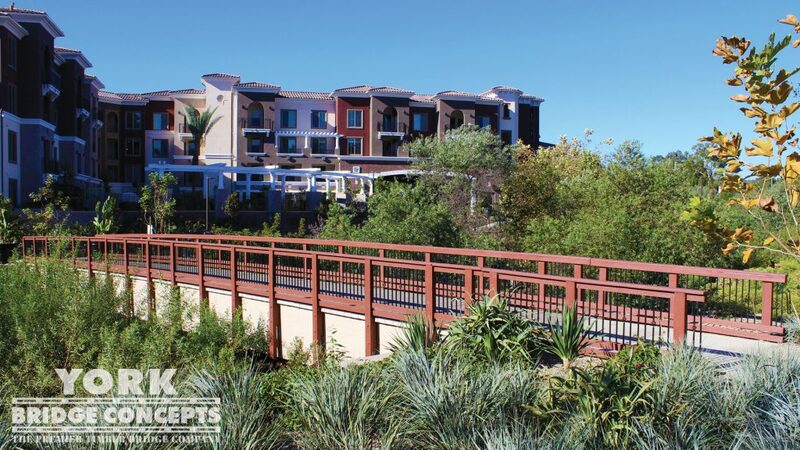 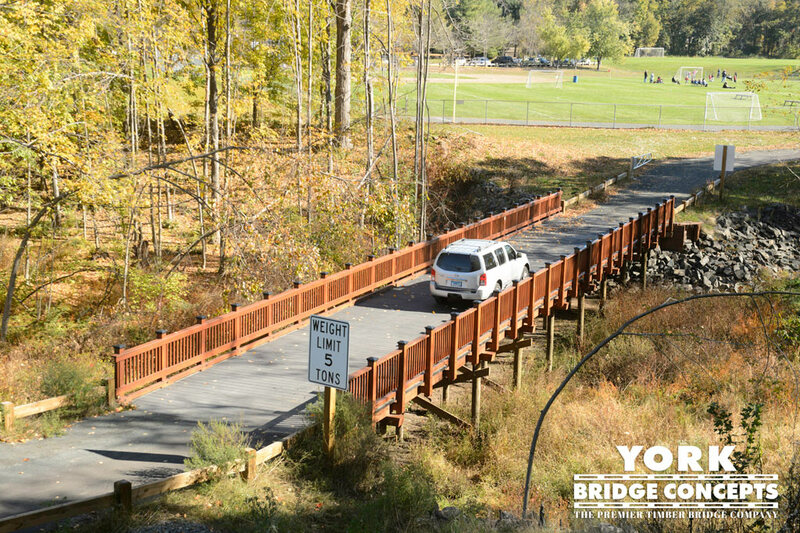 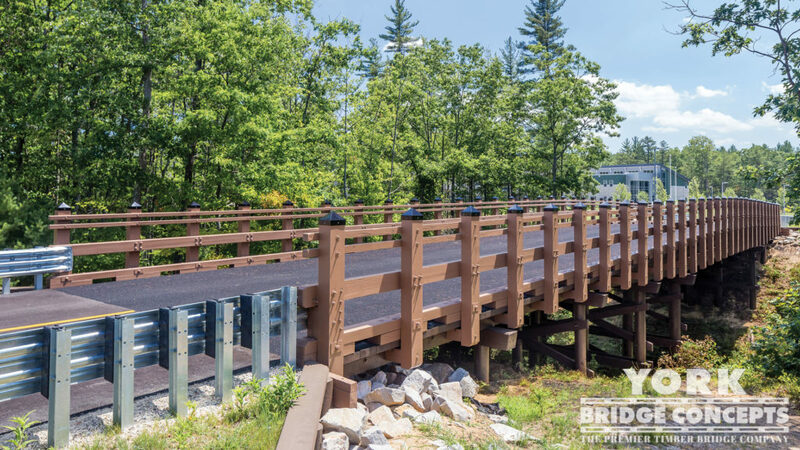 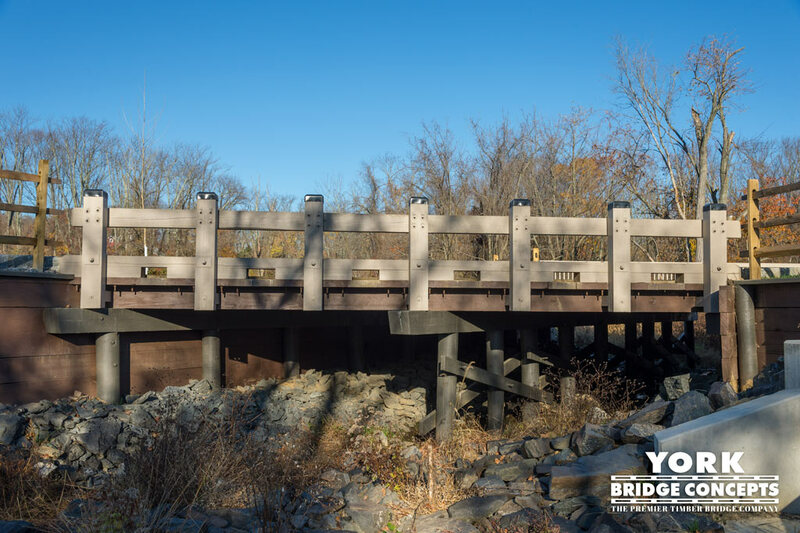 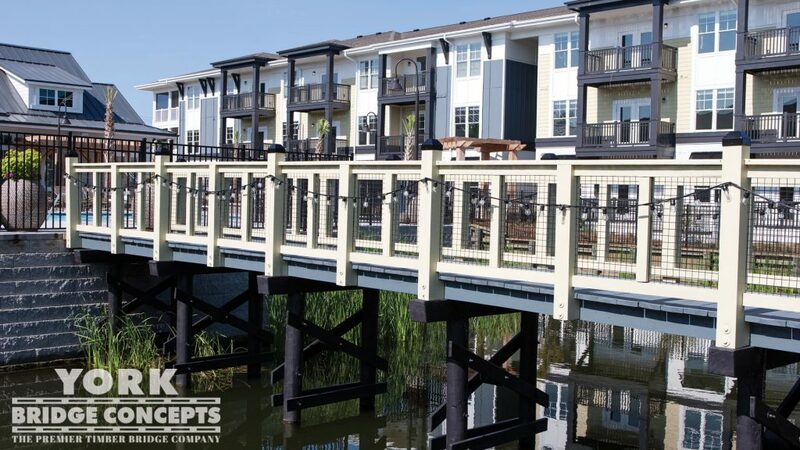 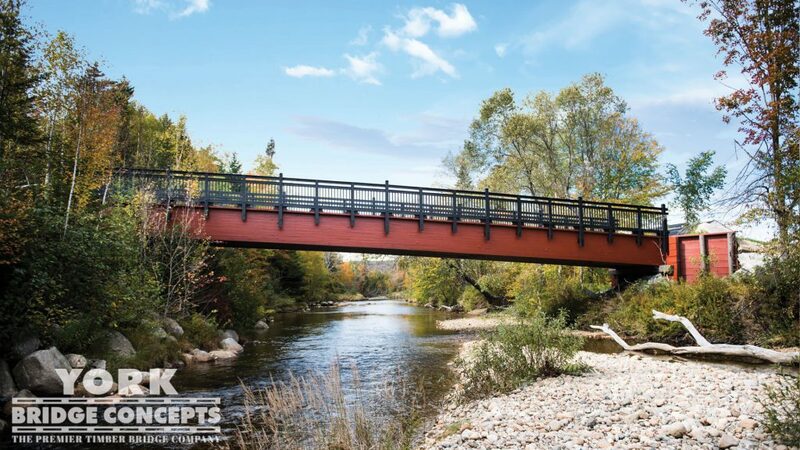 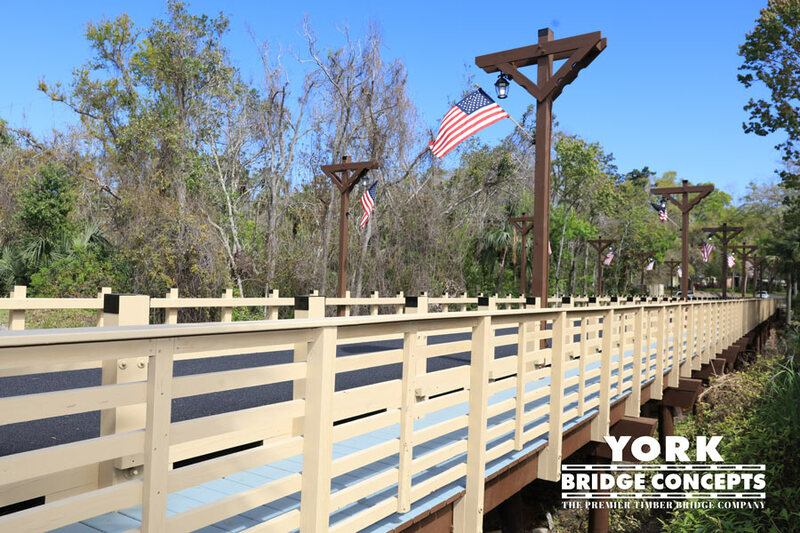 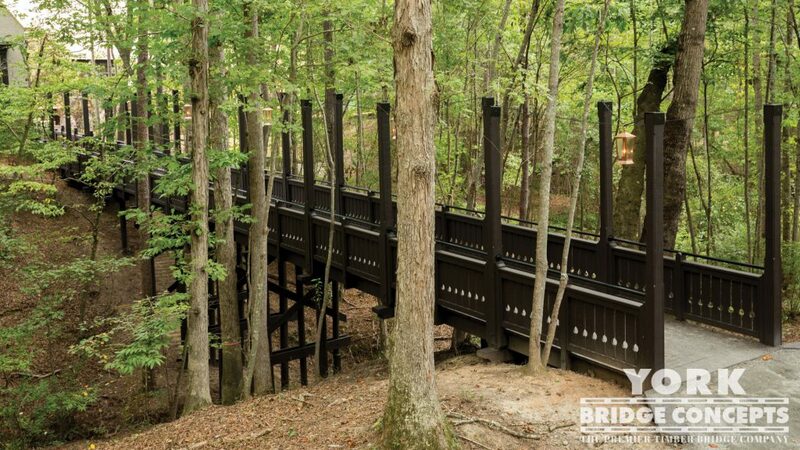 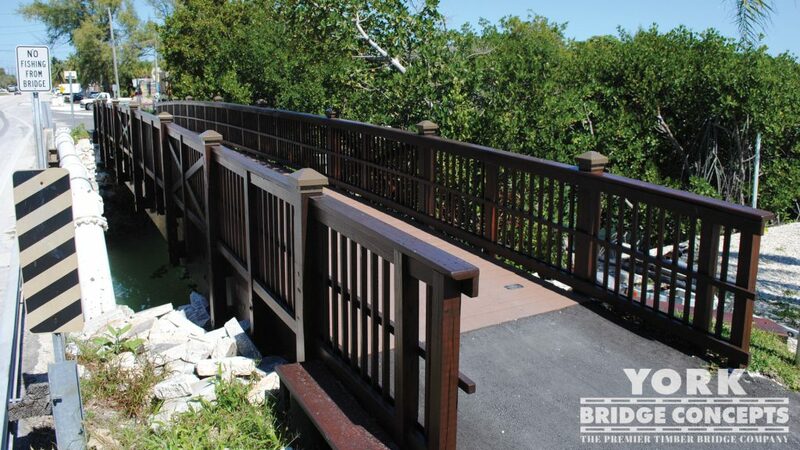 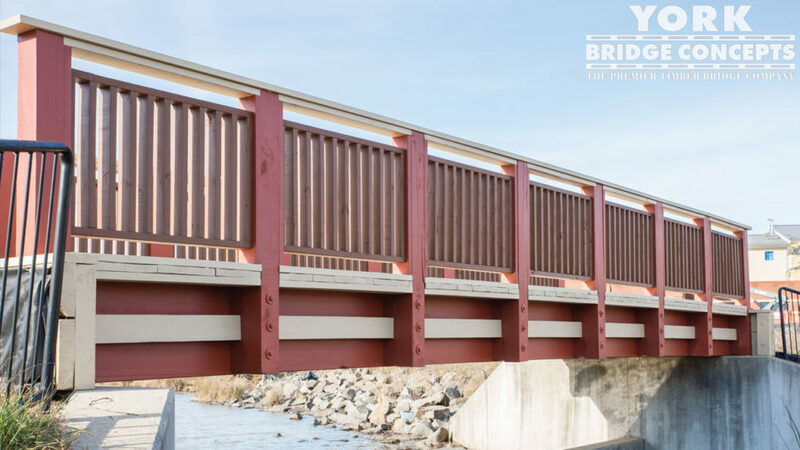 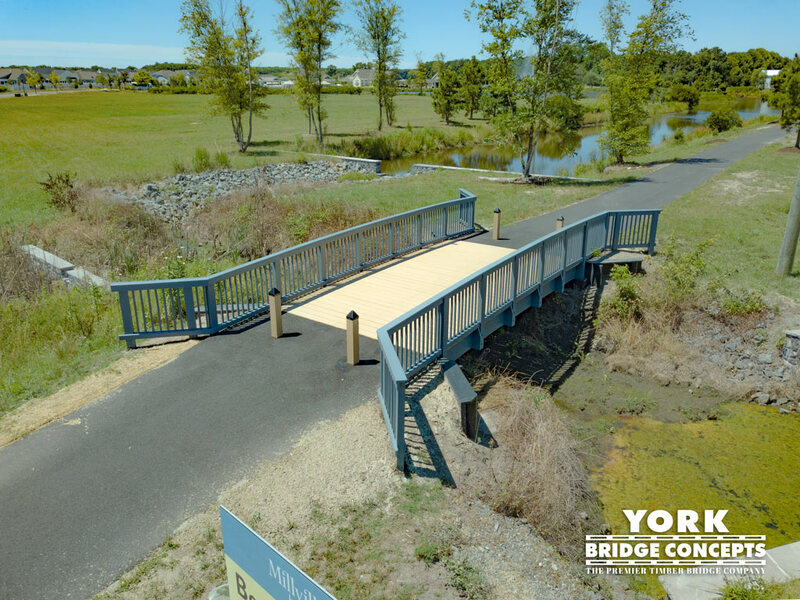 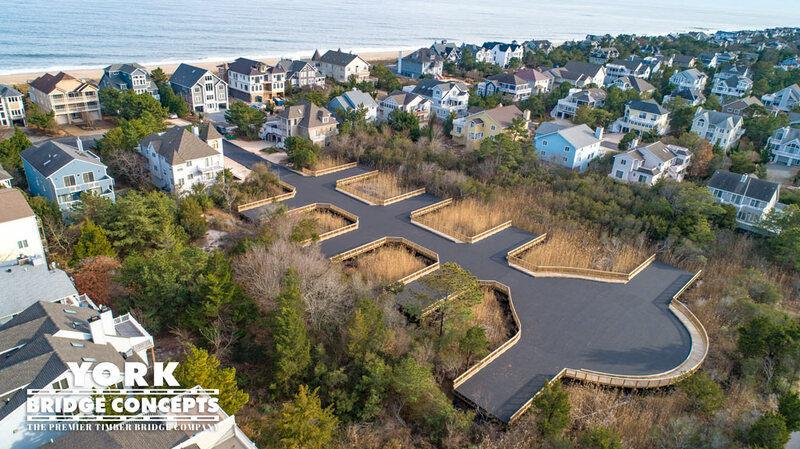 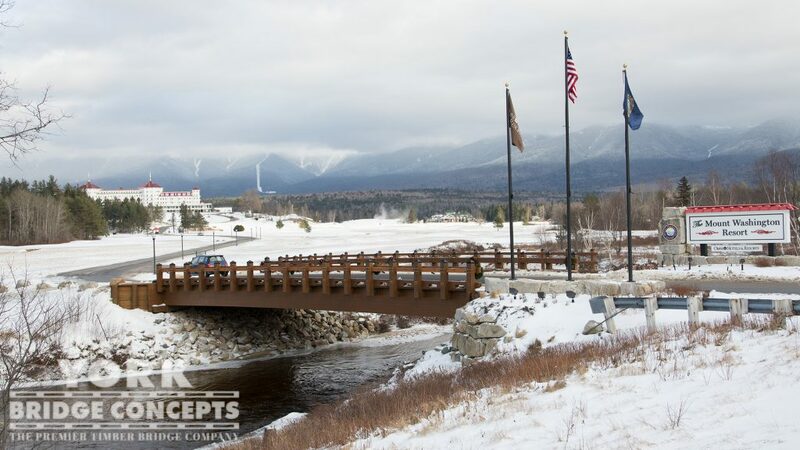 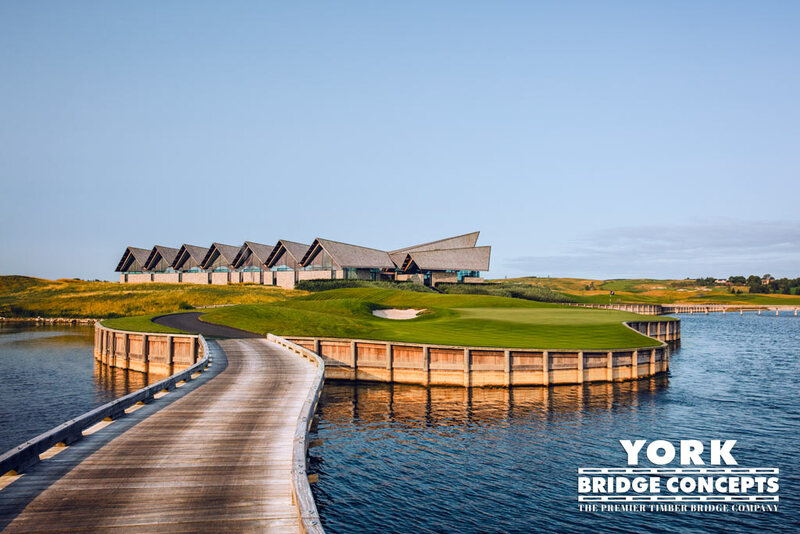 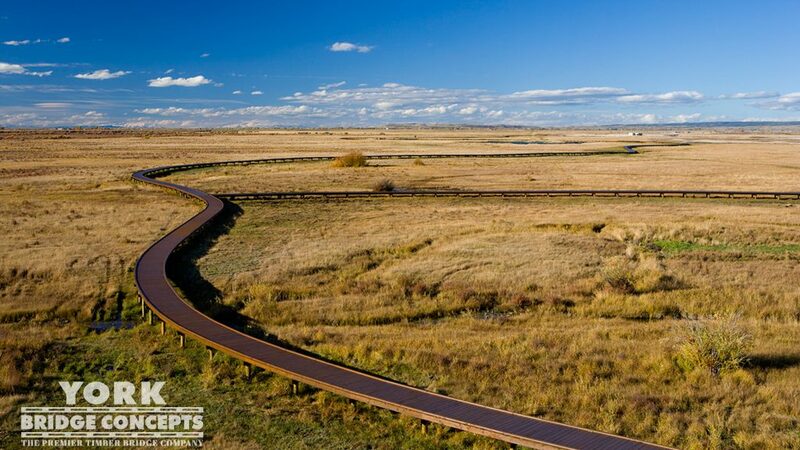 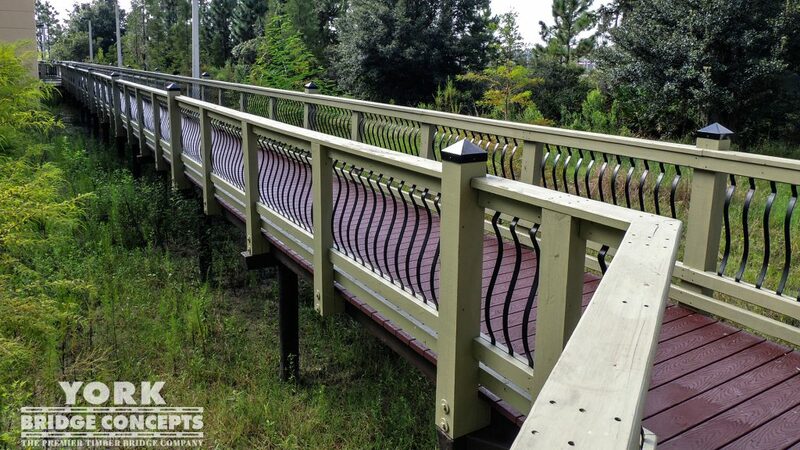 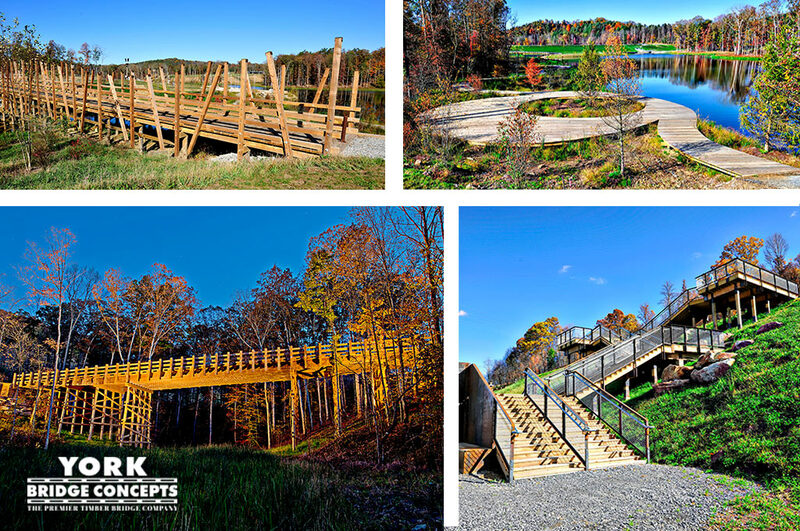 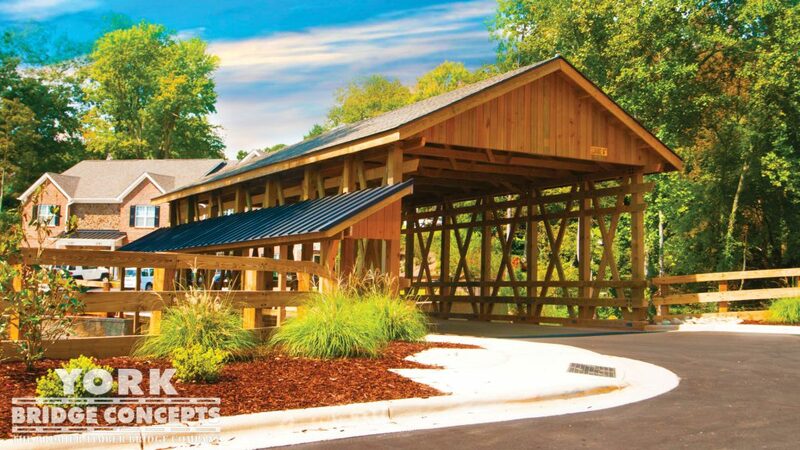 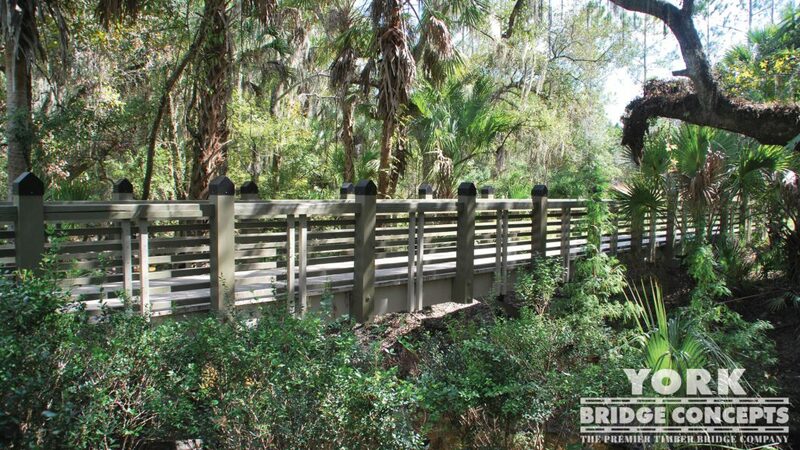 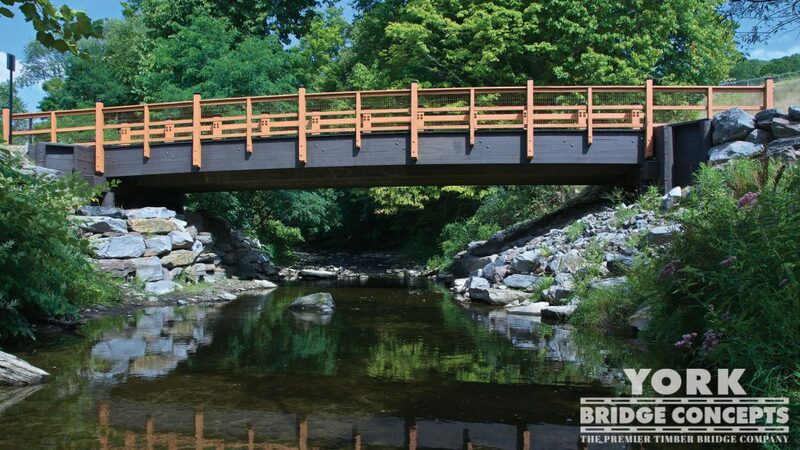 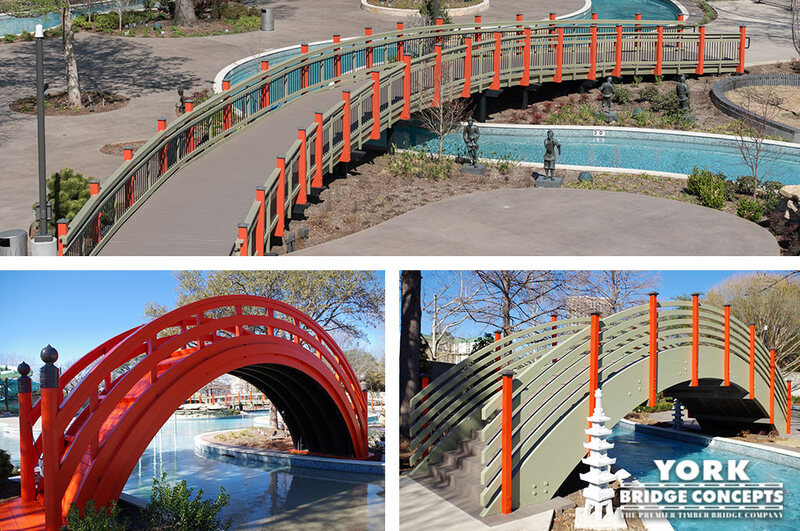 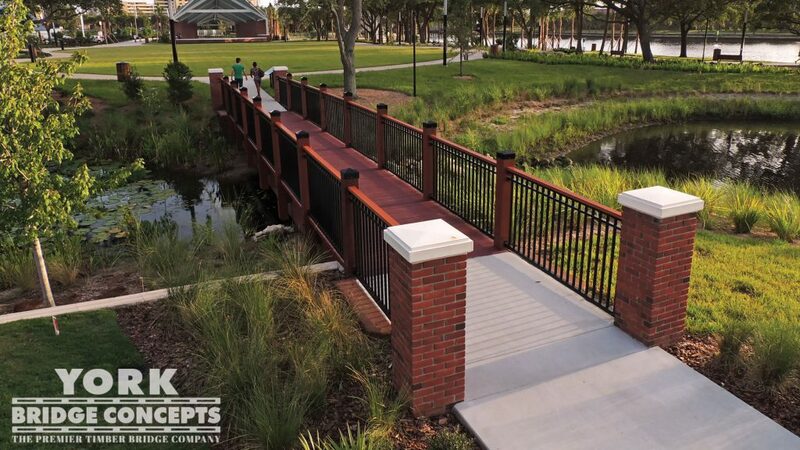 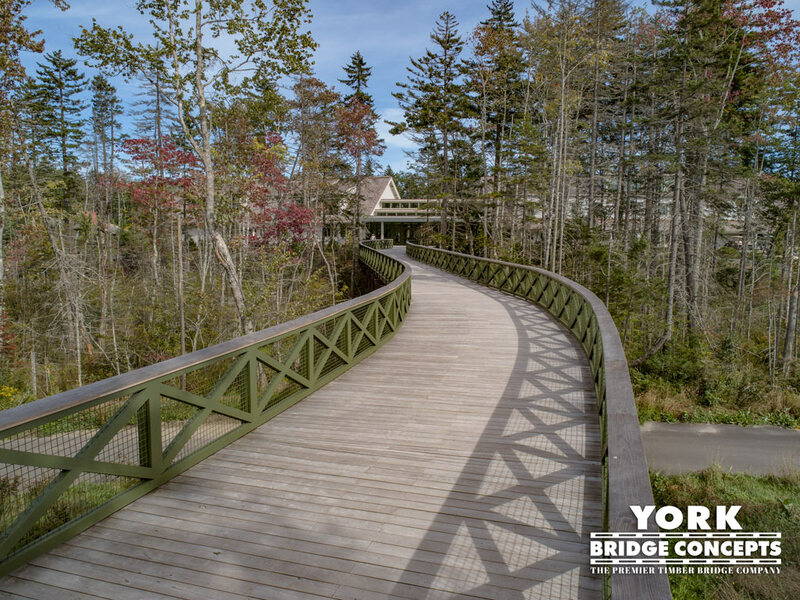 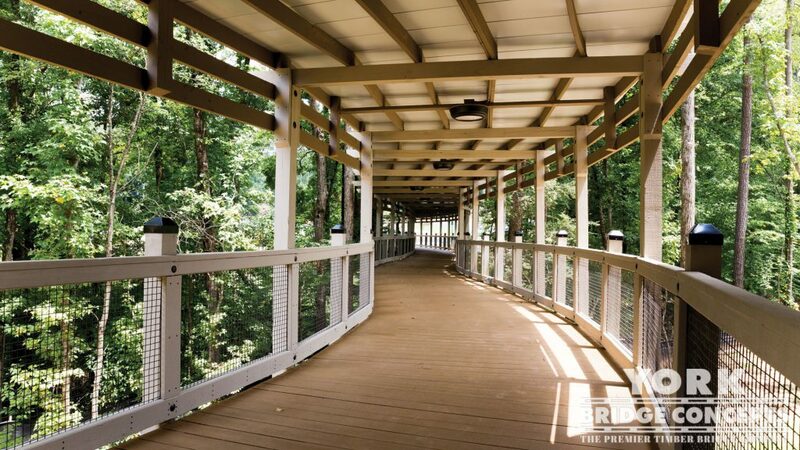 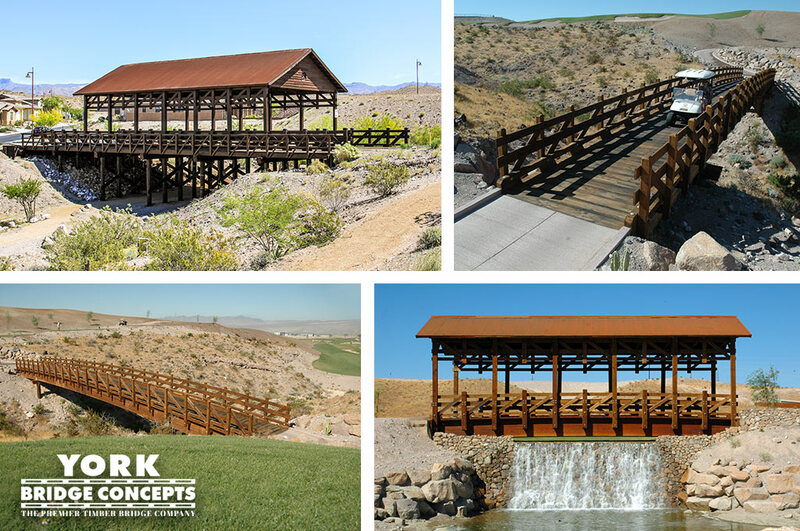 Located in the Village of Loch Lloyd, this multiple span York Structure glides along the landscape, crossing the creek with a configuration of rails, posts – combined withYBC’s premium translucent oil coating – which provides a unique and natural look to the setting. 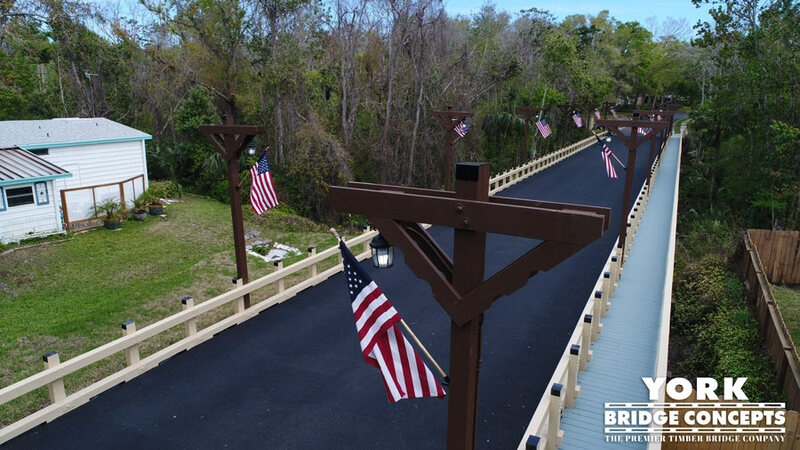 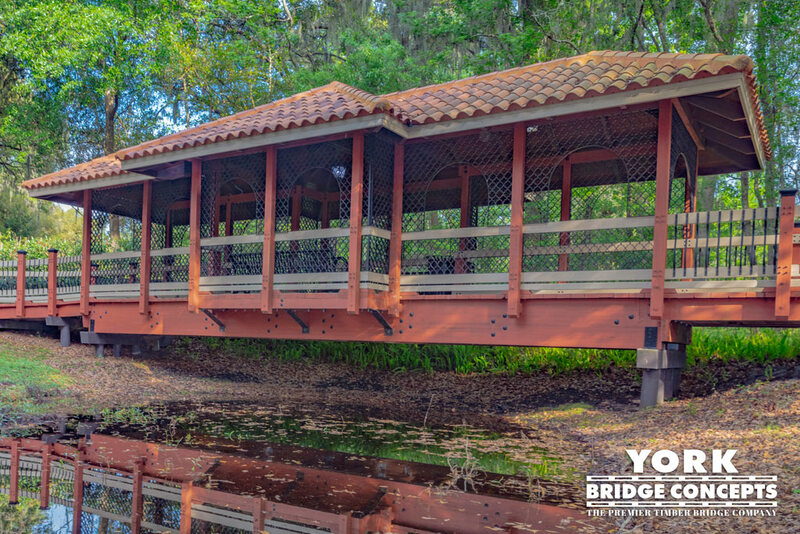 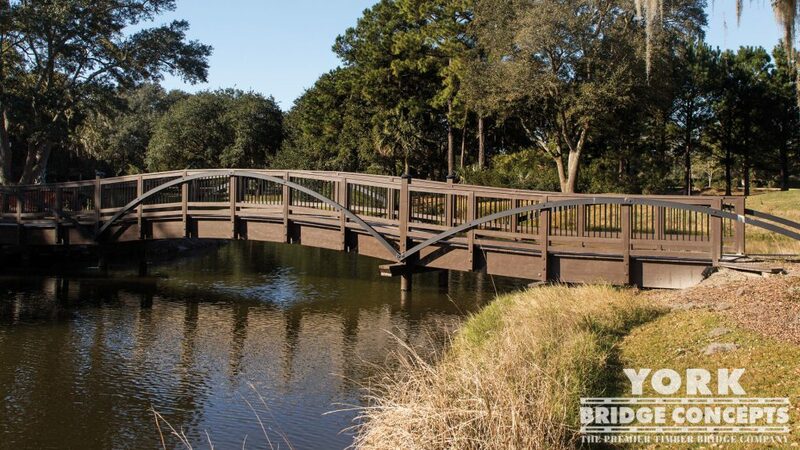 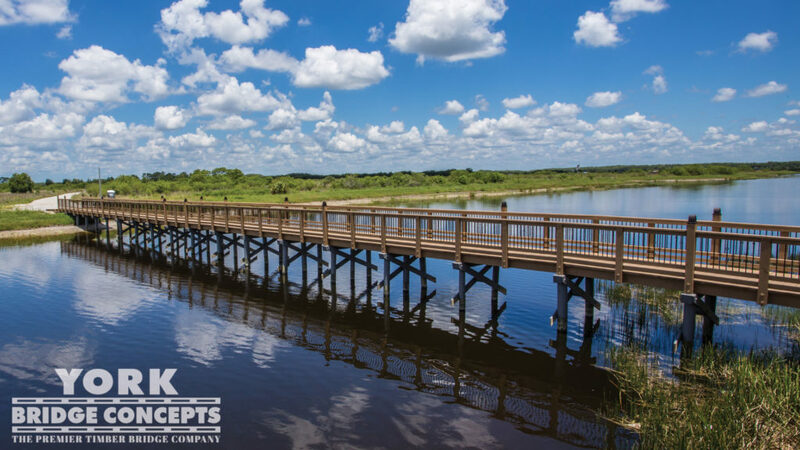 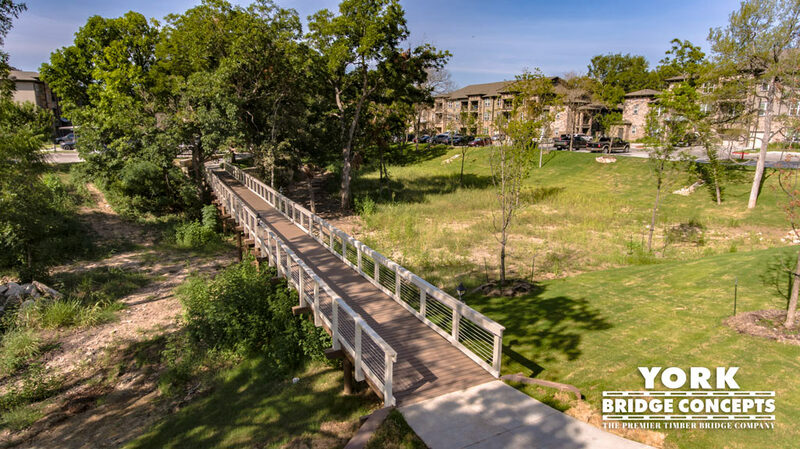 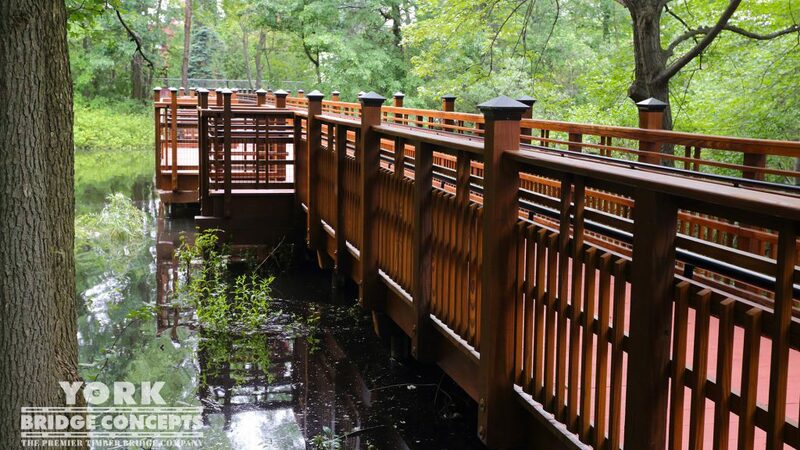 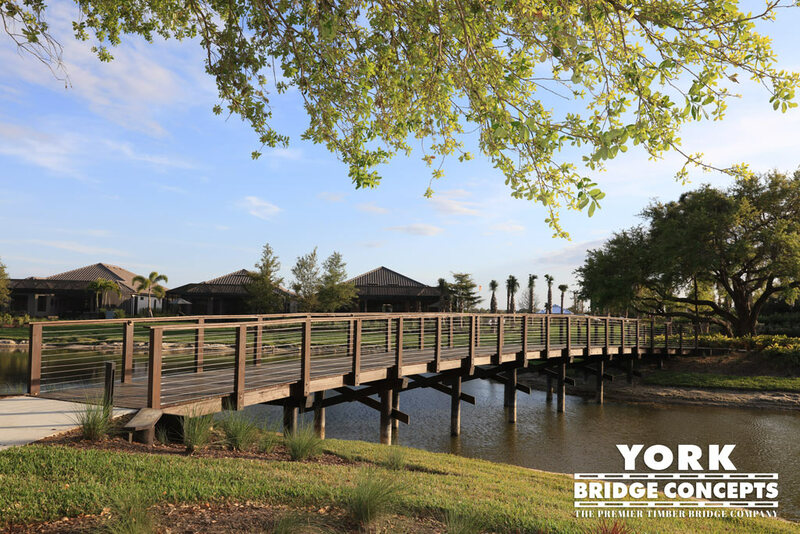 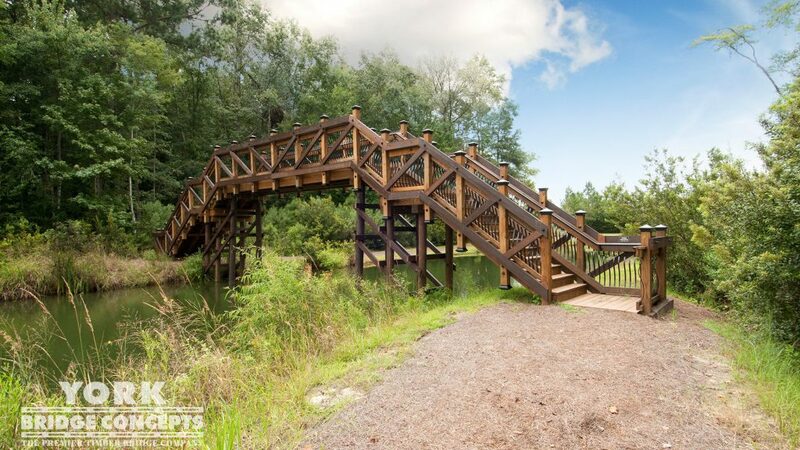 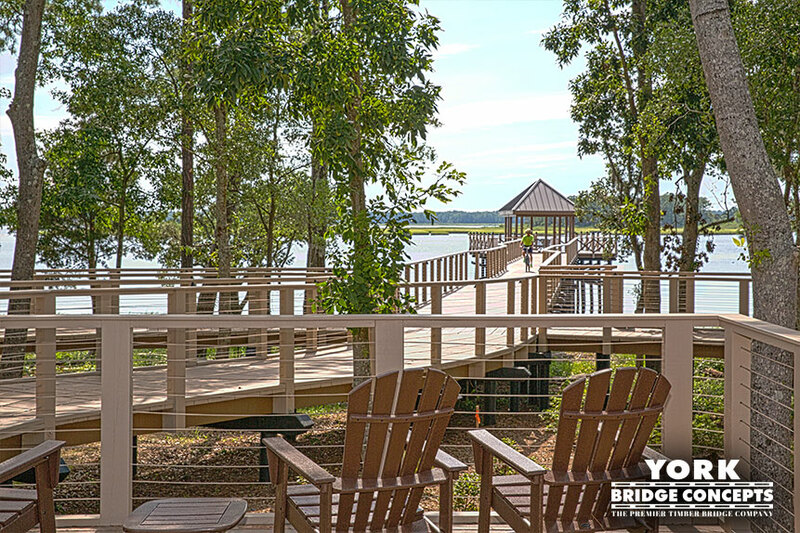 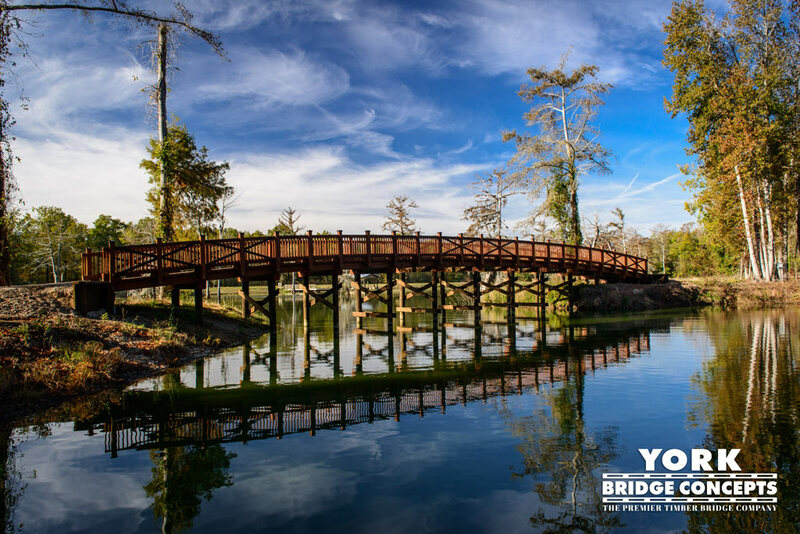 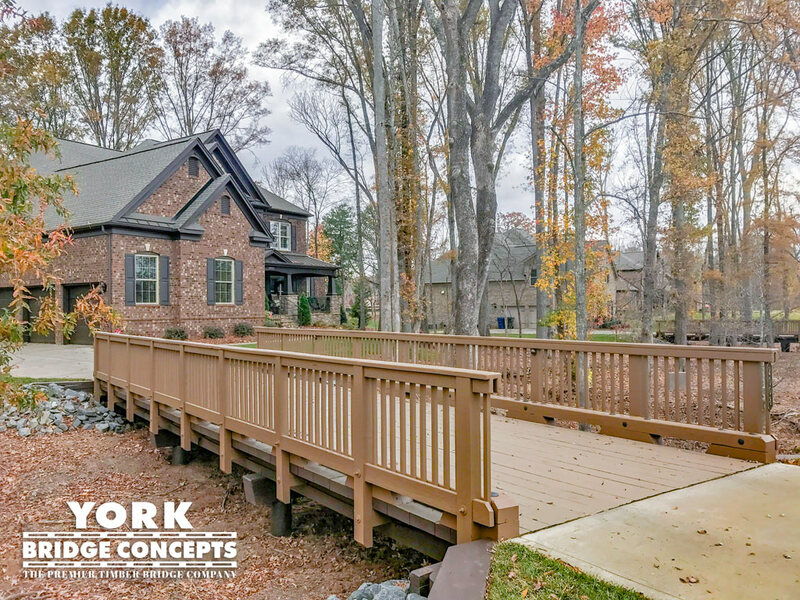 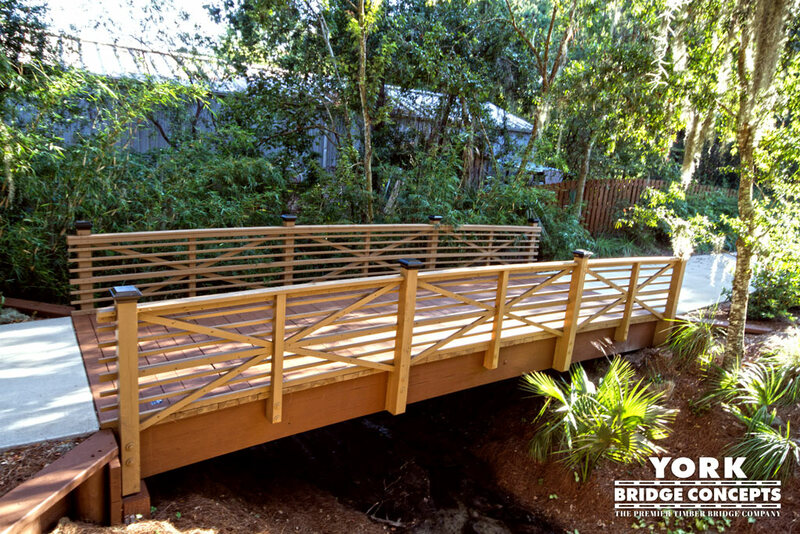 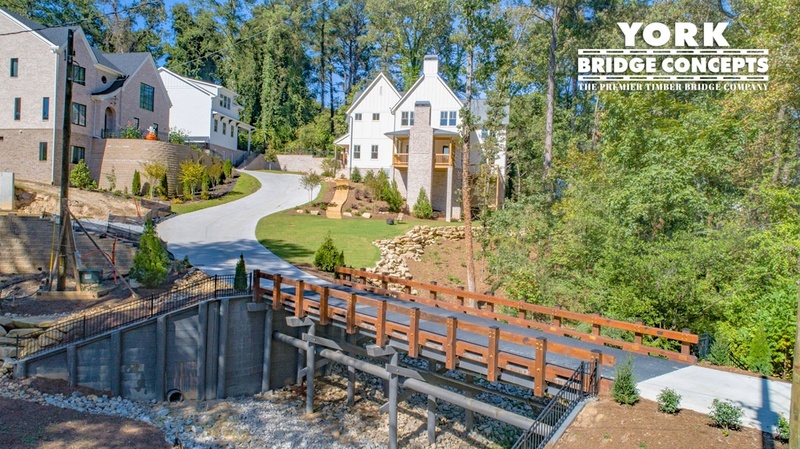 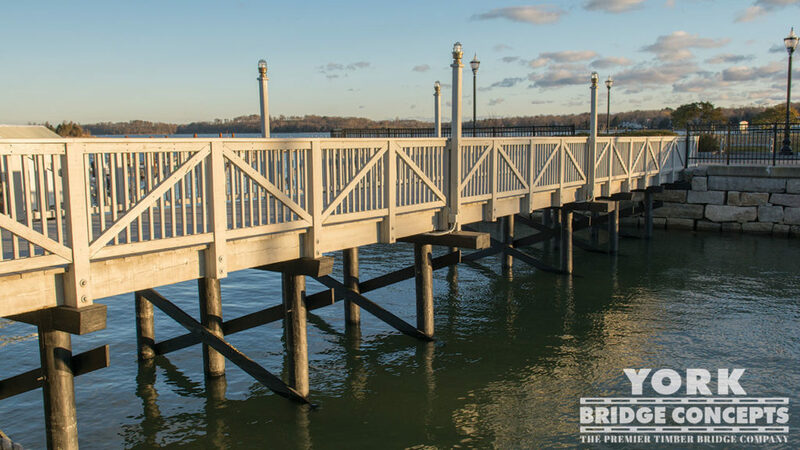 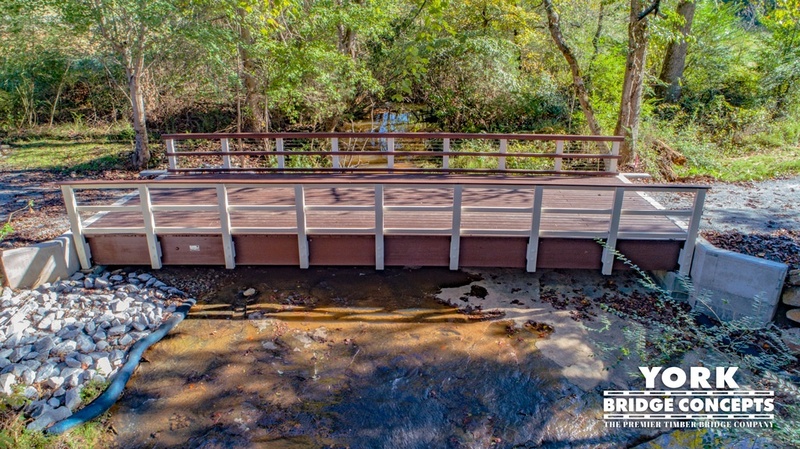 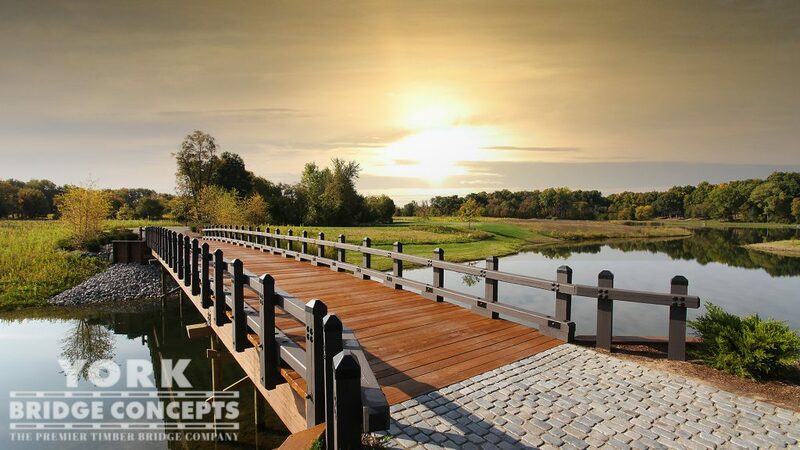 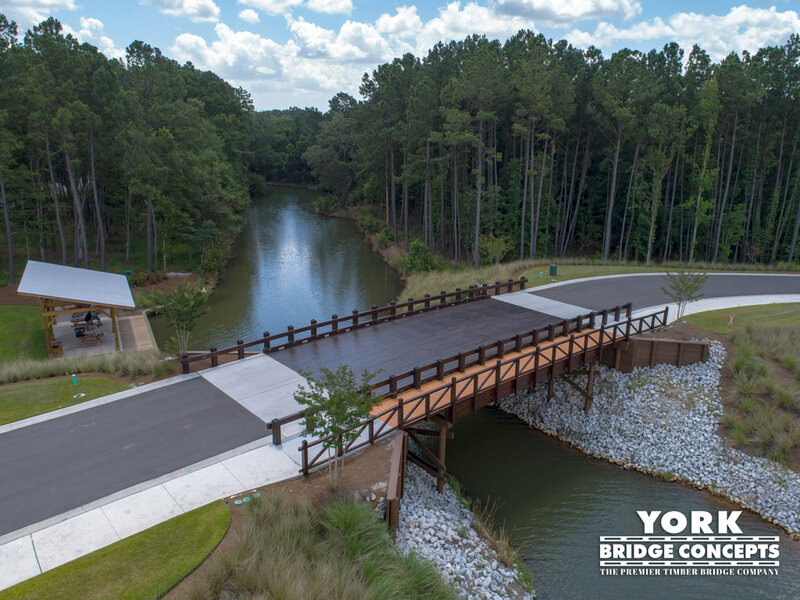 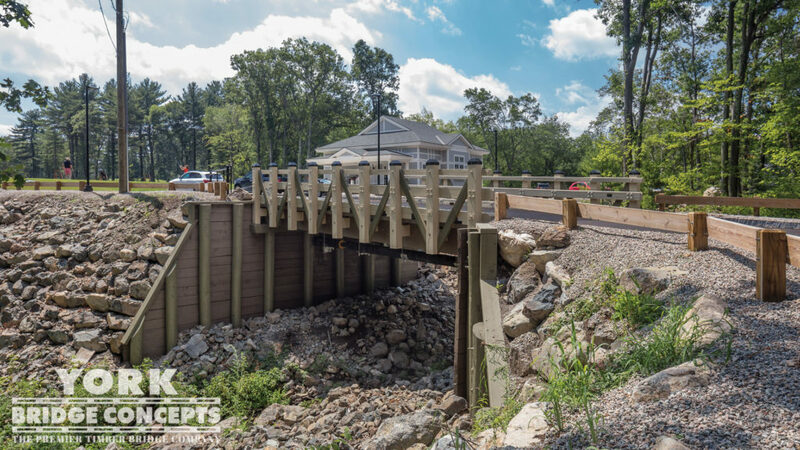 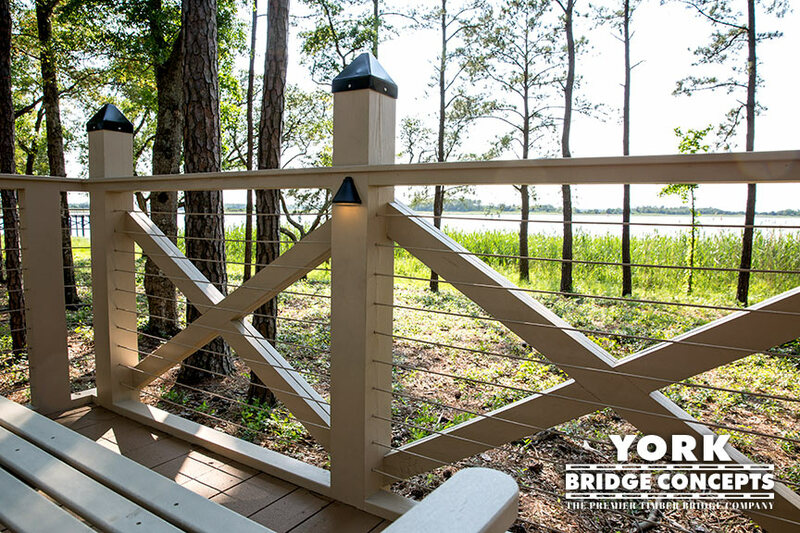 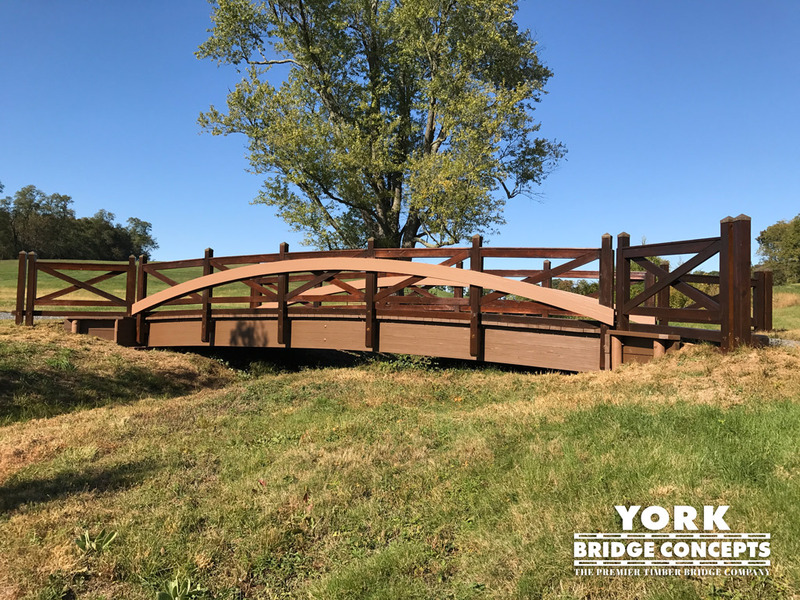 The residents and guests of Loch Lloyd will assuredly enjoy their custom, one-of-a-kind York Timber Bridge for years to come! 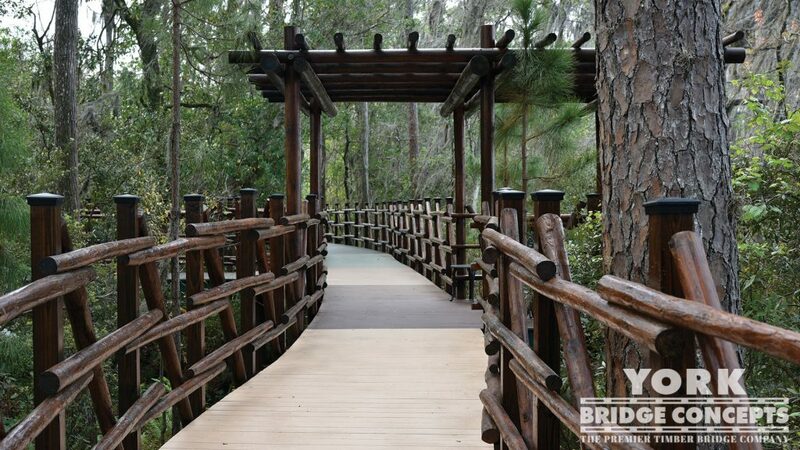 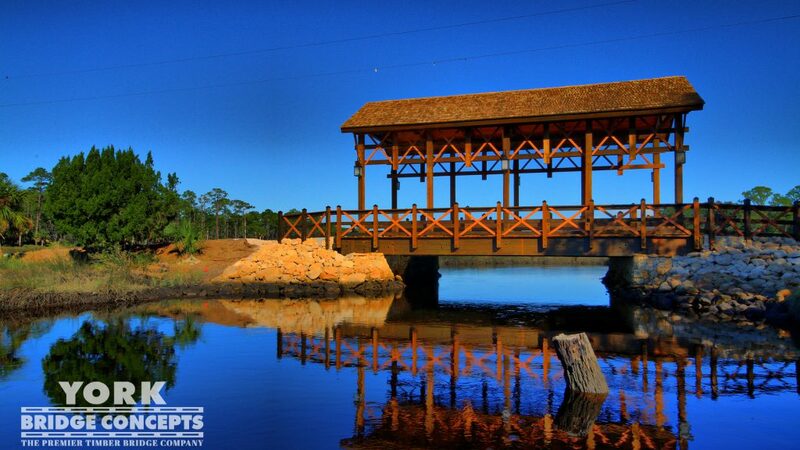 "The bridge at Loch Lloyd is absolutely beautiful. 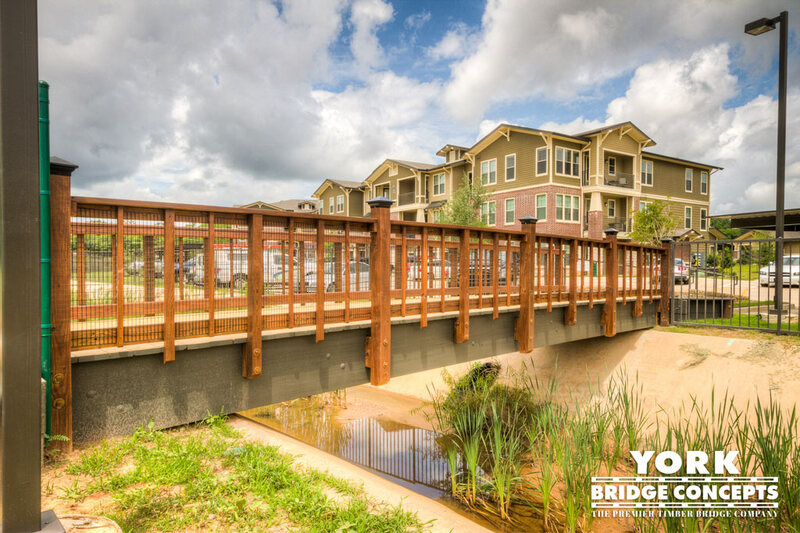 It fits the essence of our community. 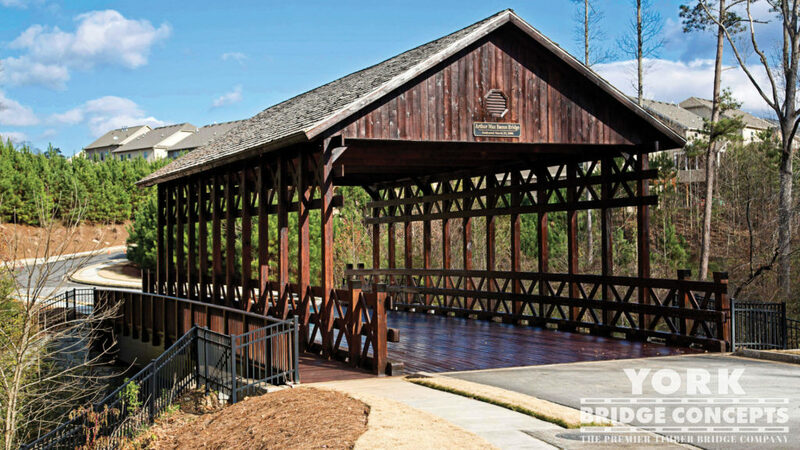 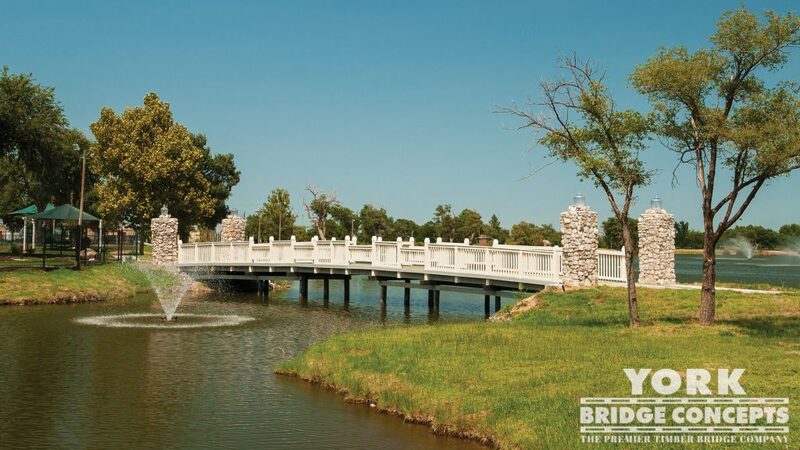 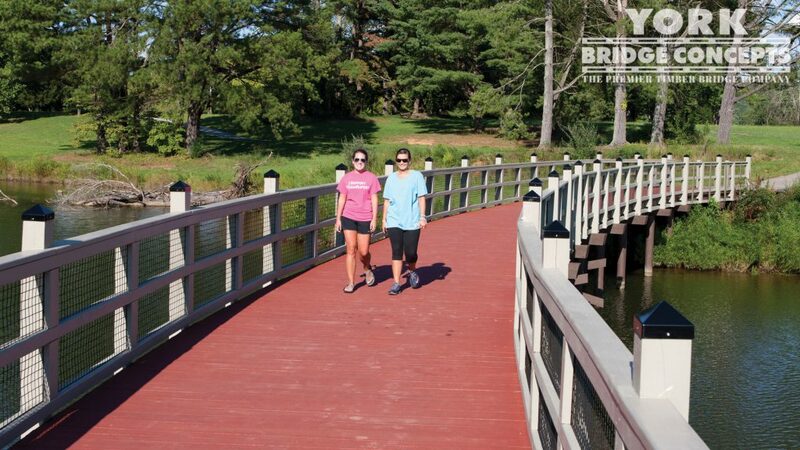 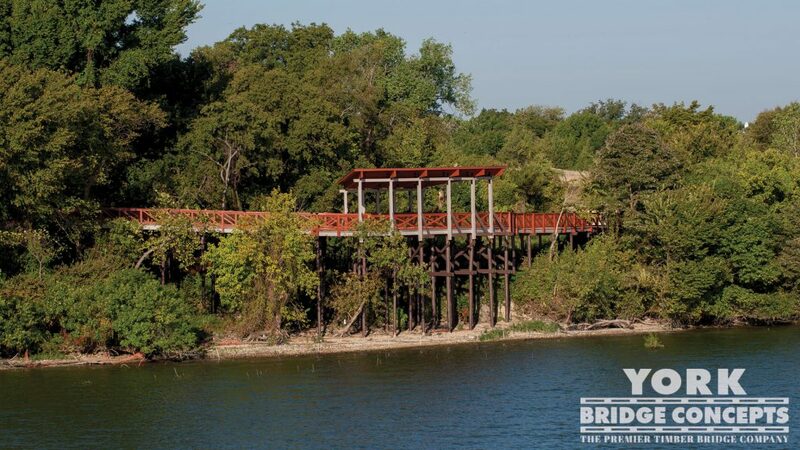 With the rolling hills and surrounding landscape, it seems like the bridge has been here for 100 years."